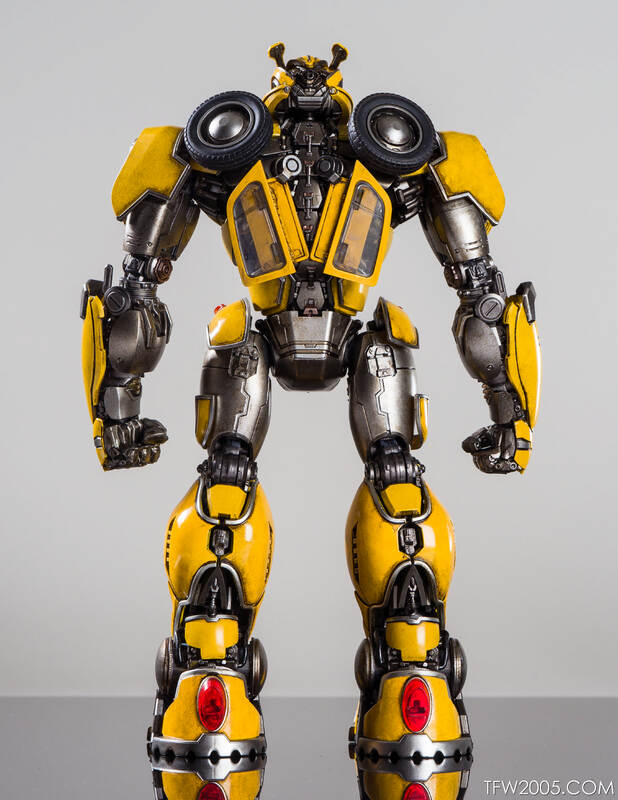 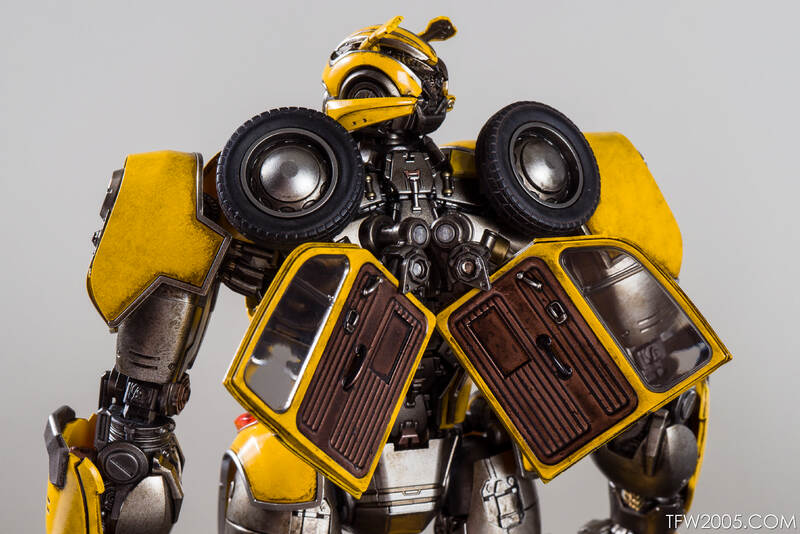 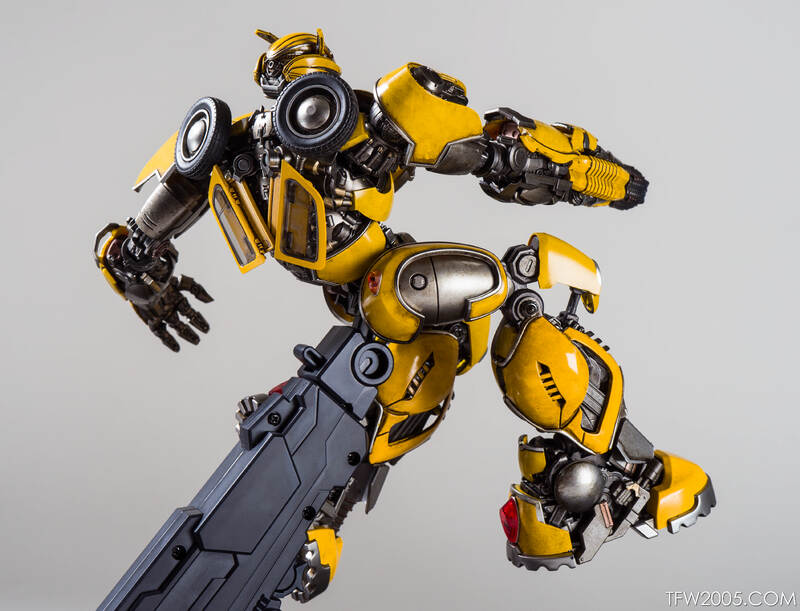 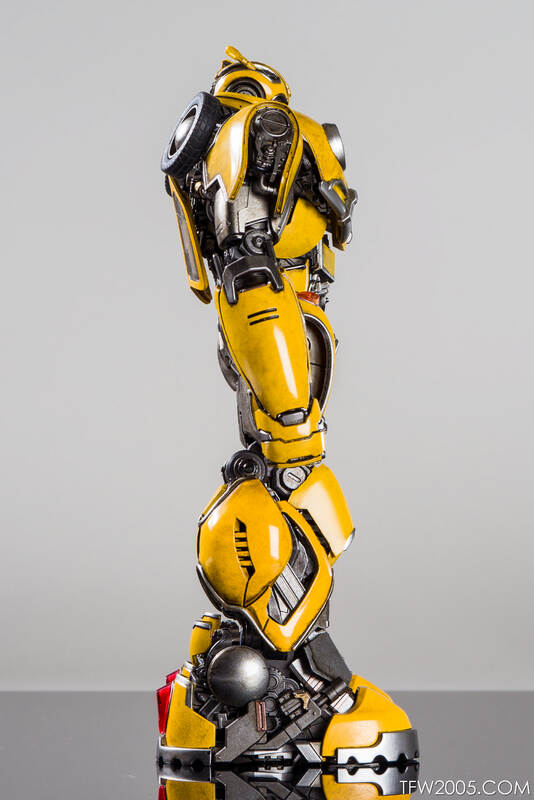 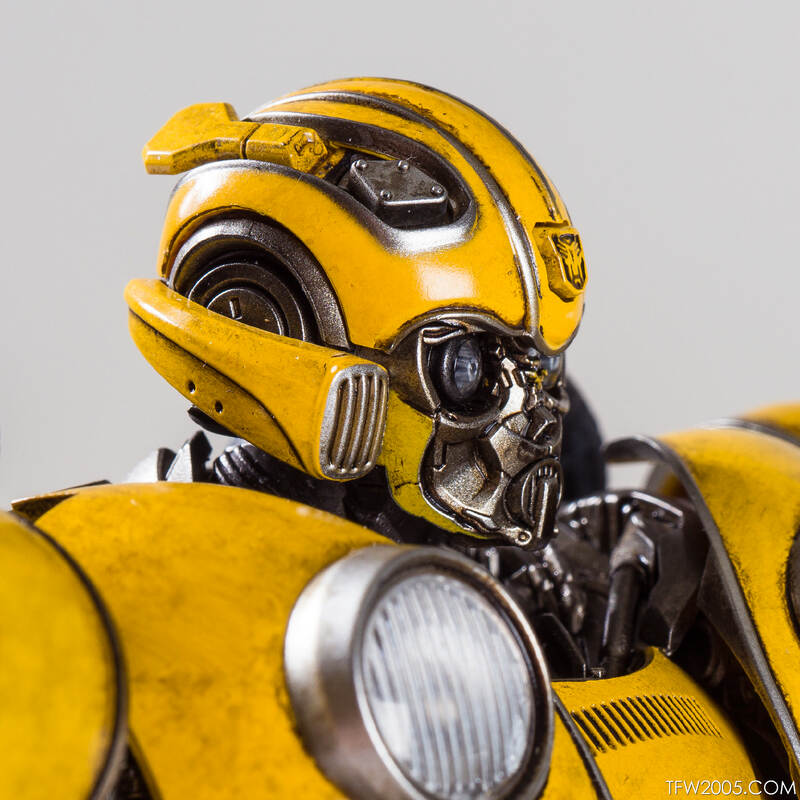 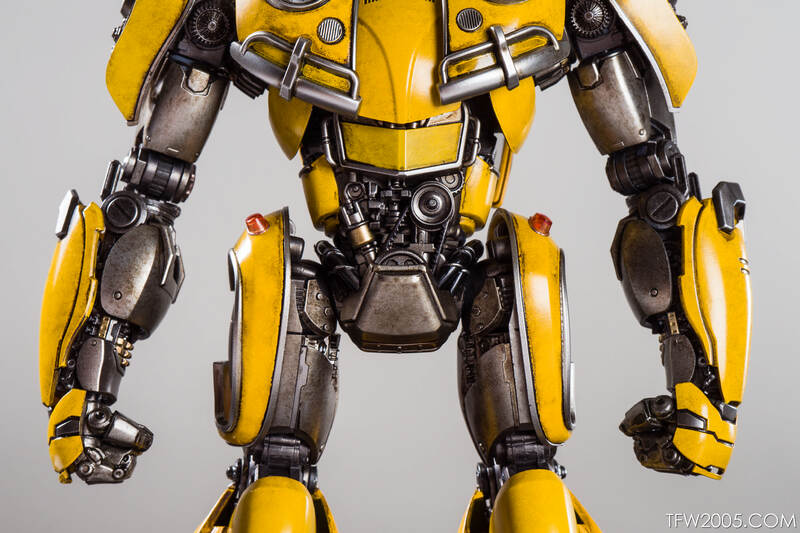 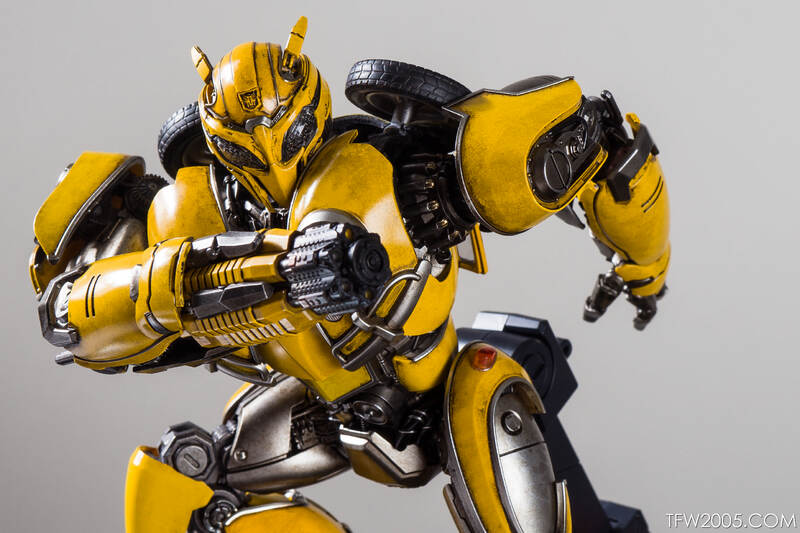 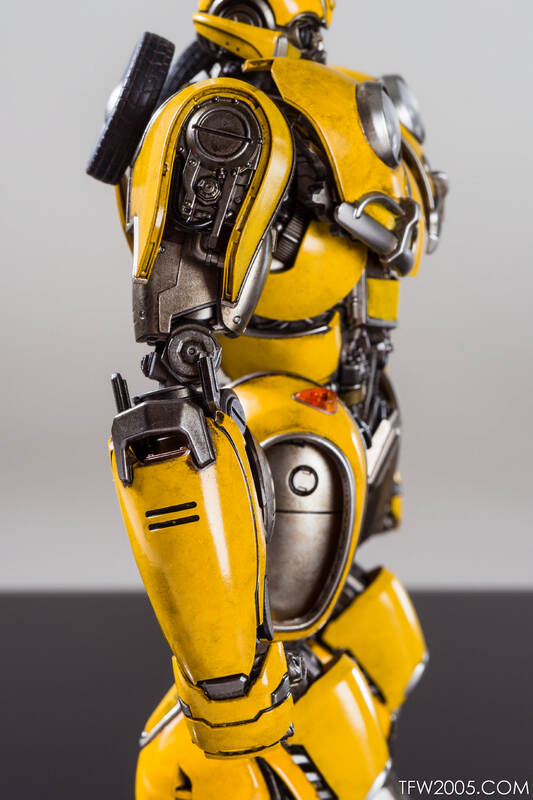 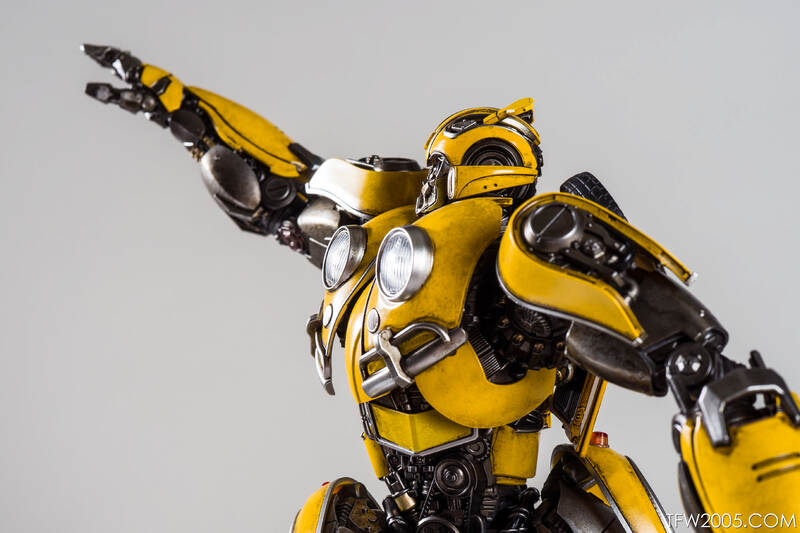 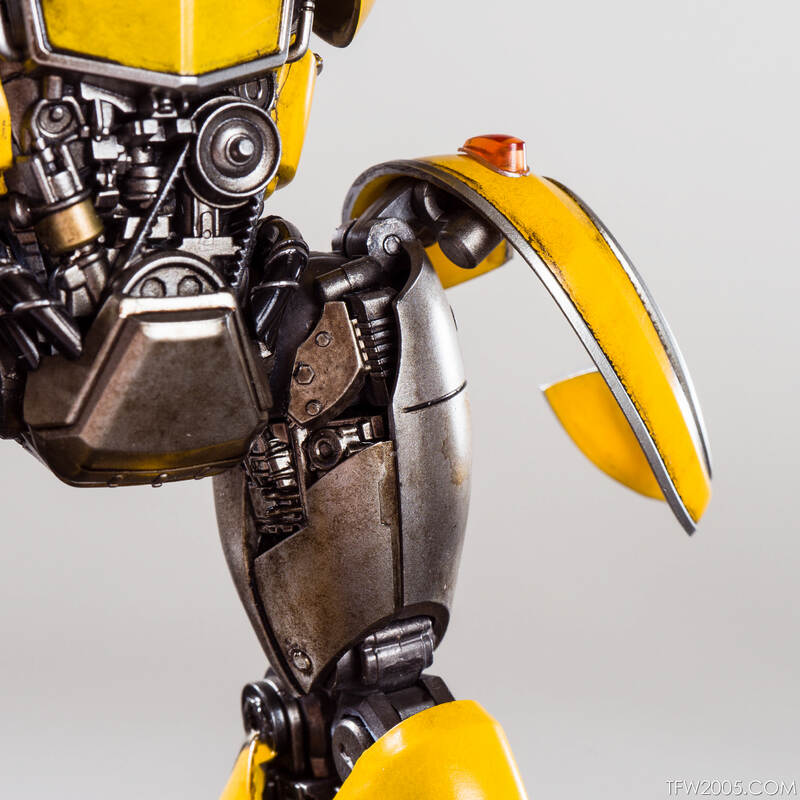 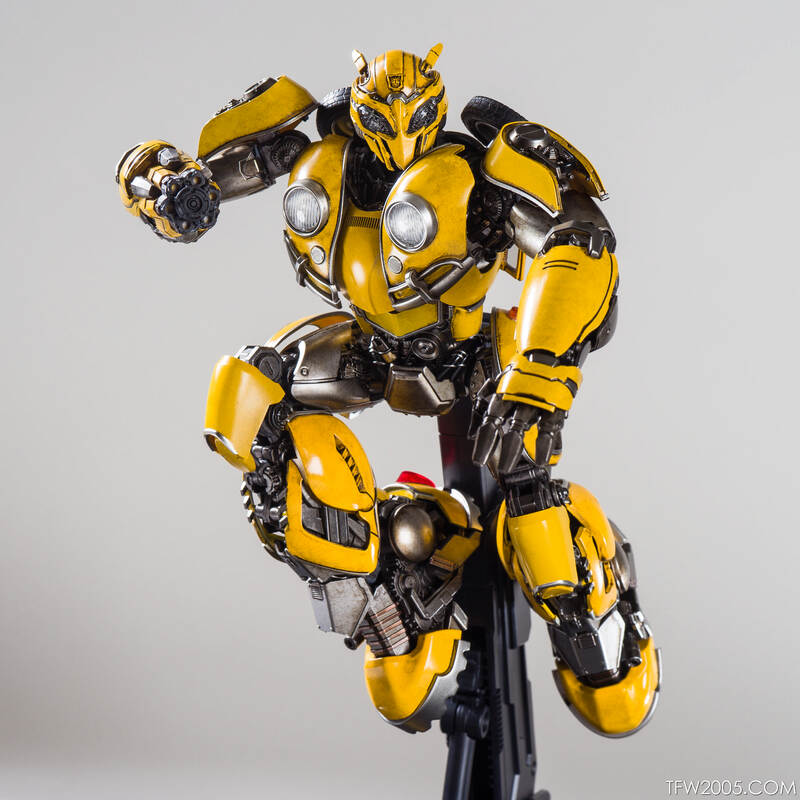 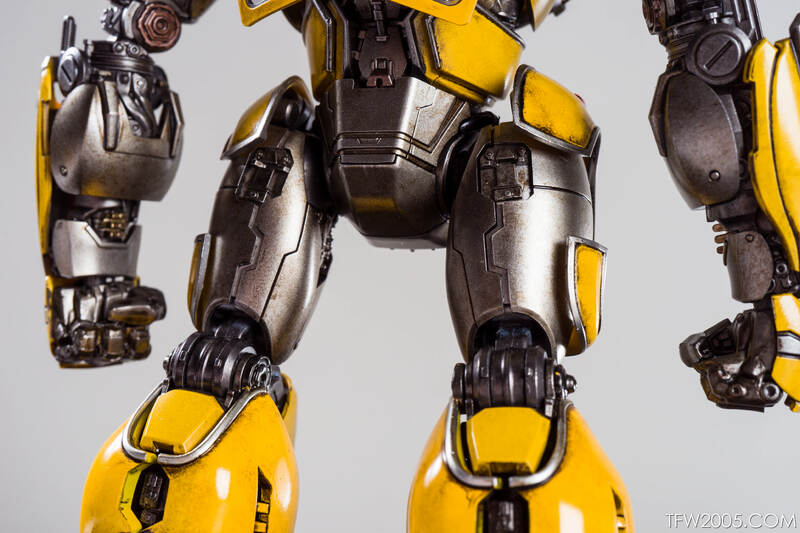 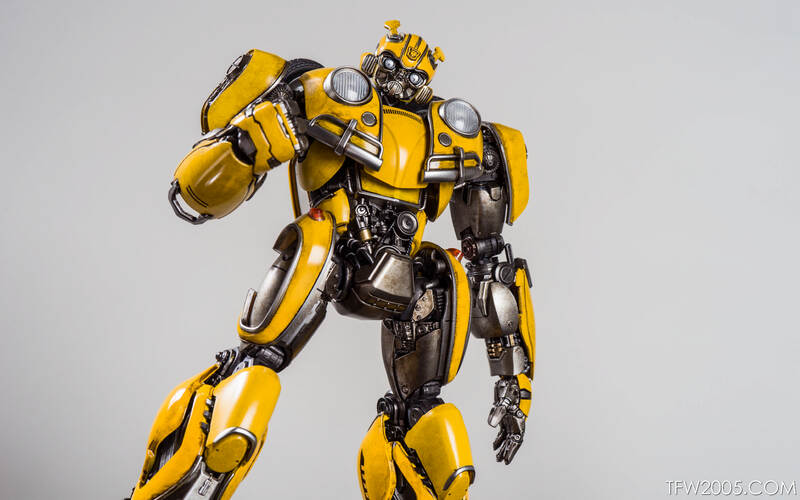 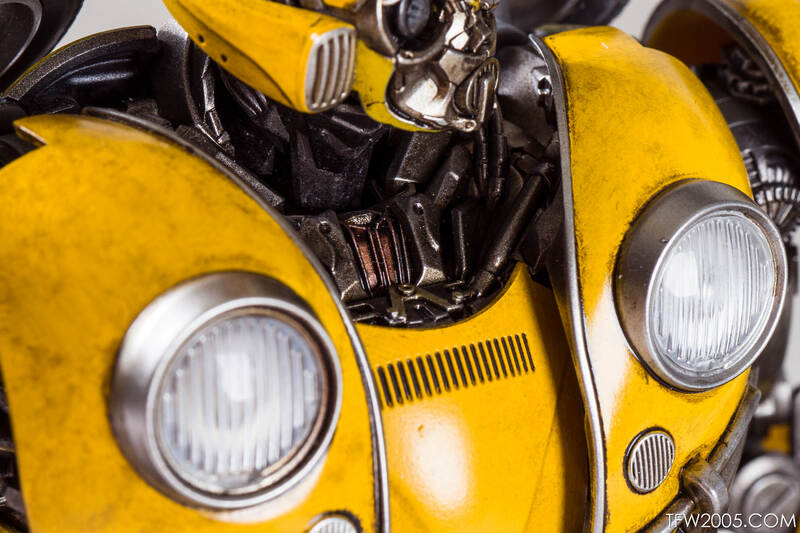 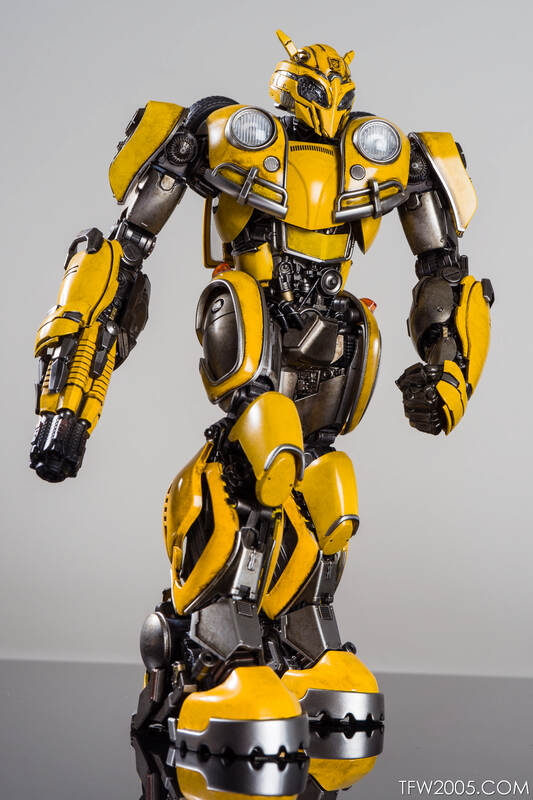 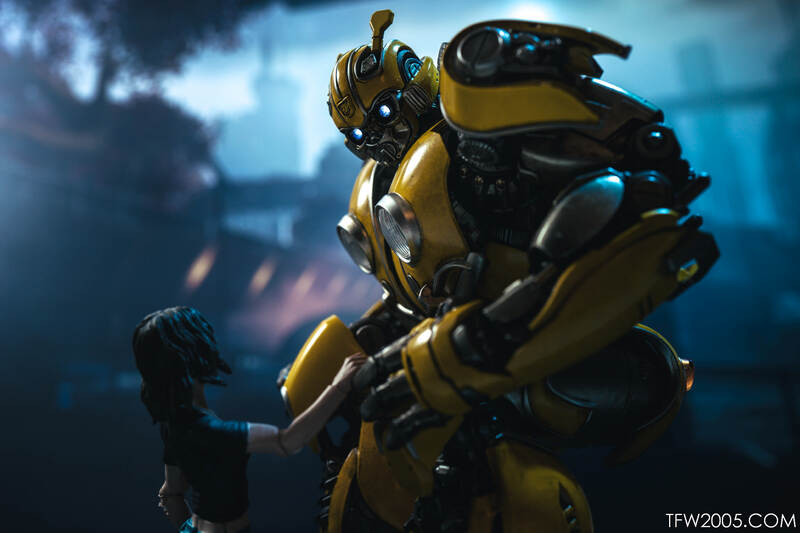 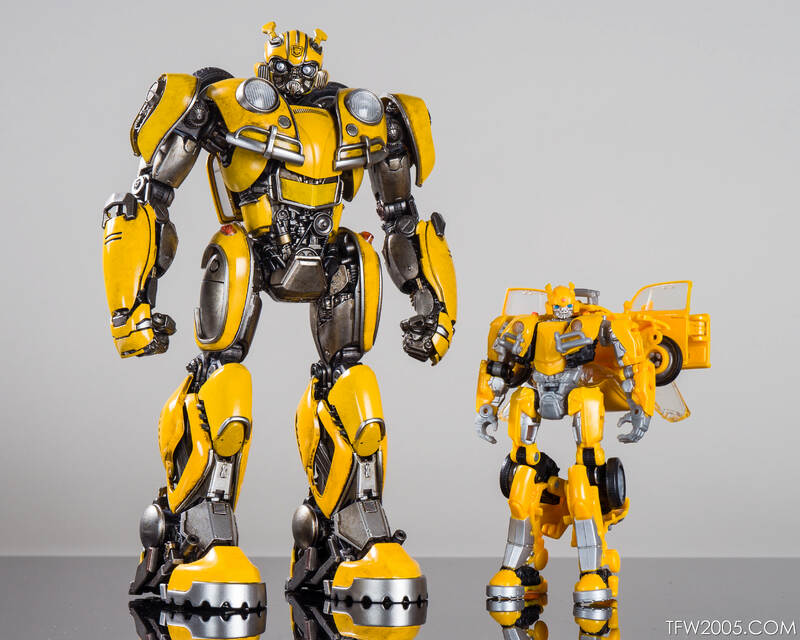 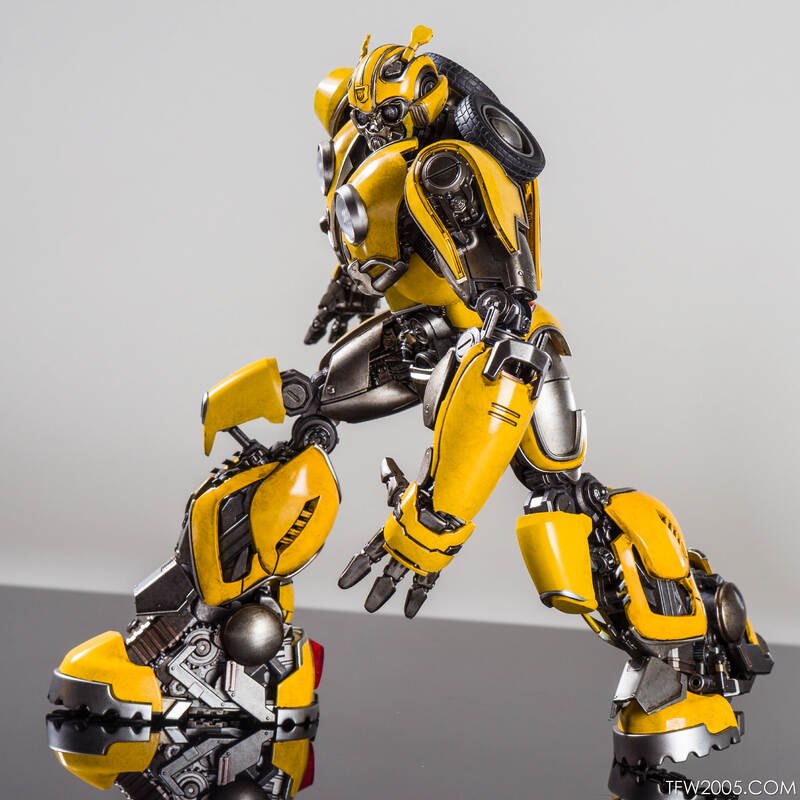 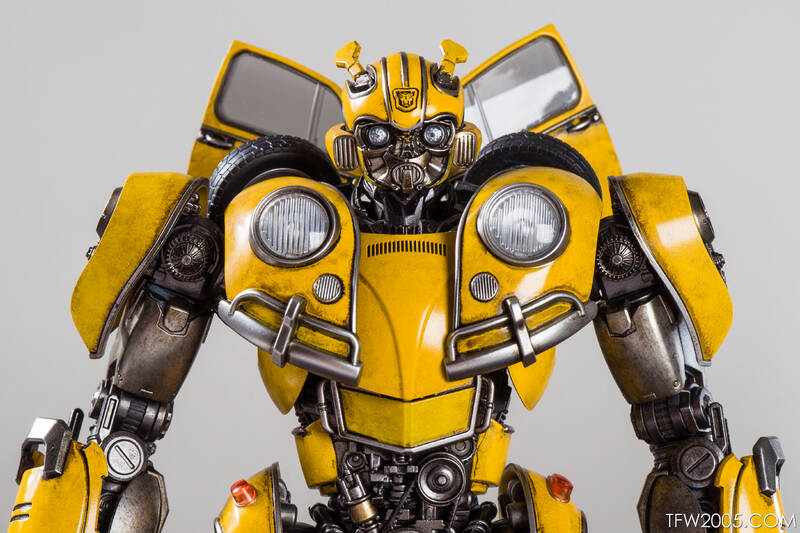 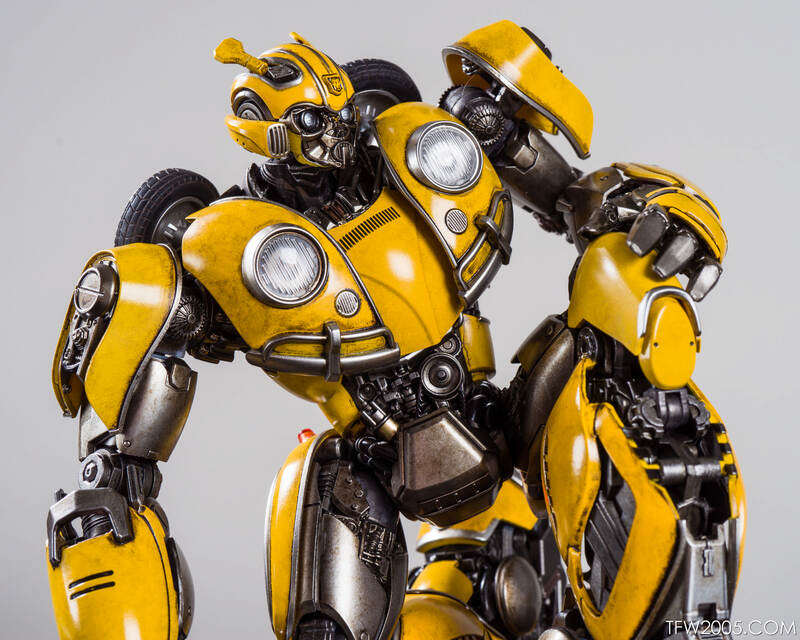 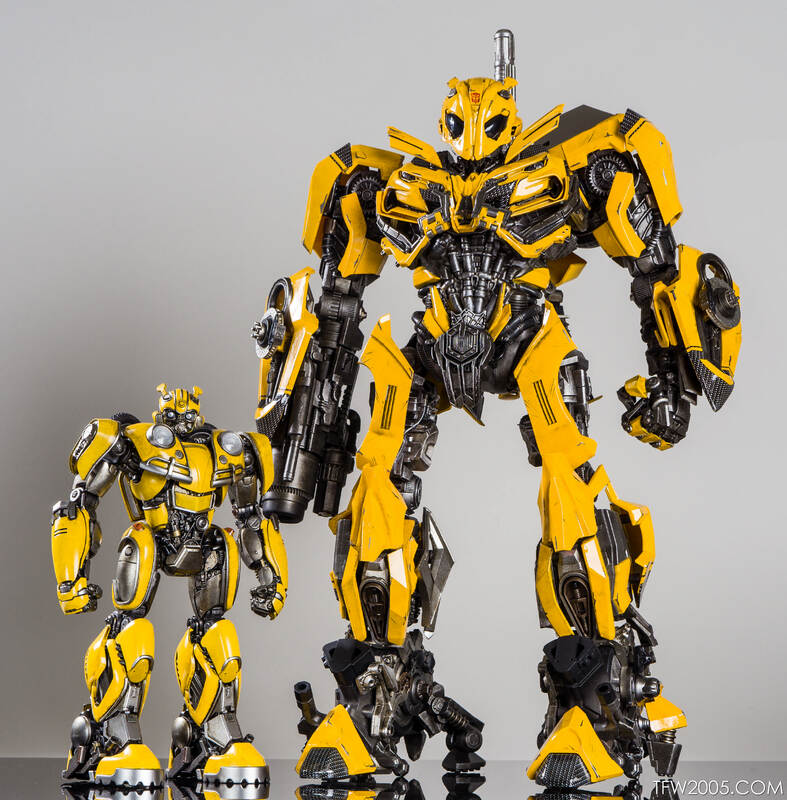 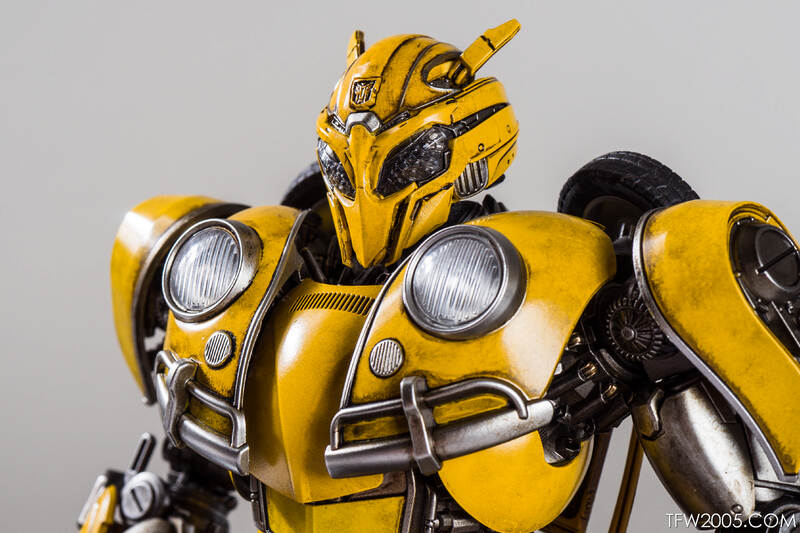 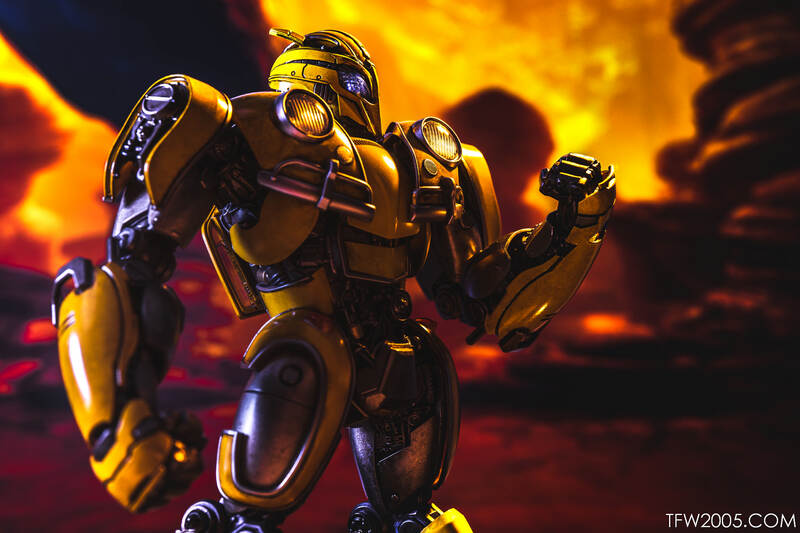 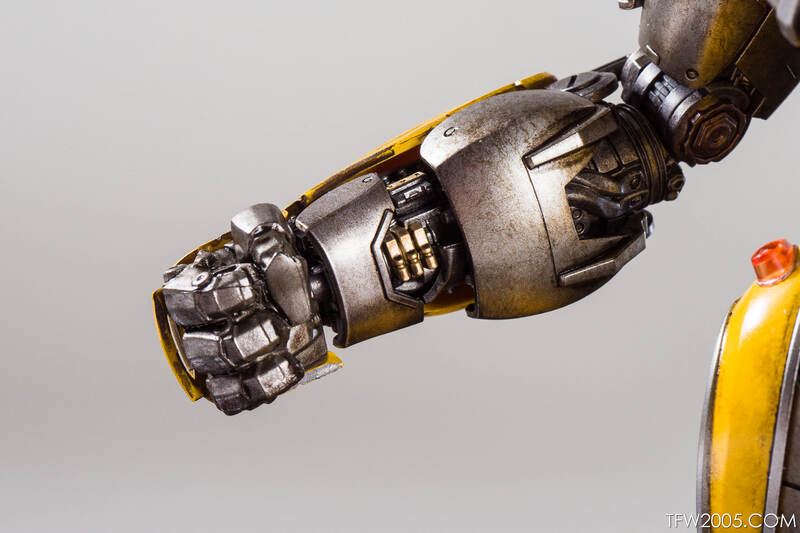 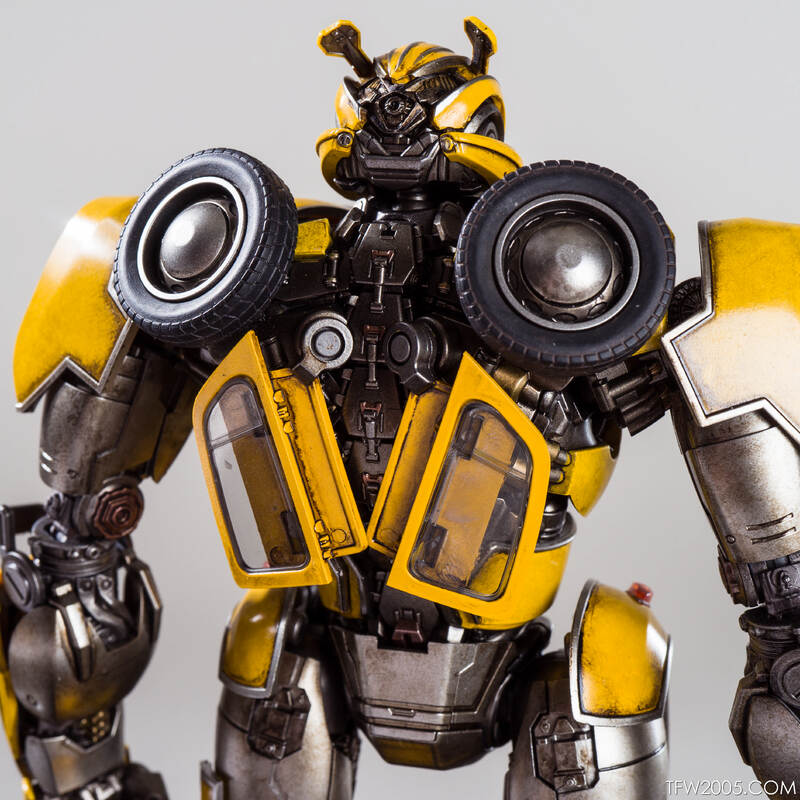 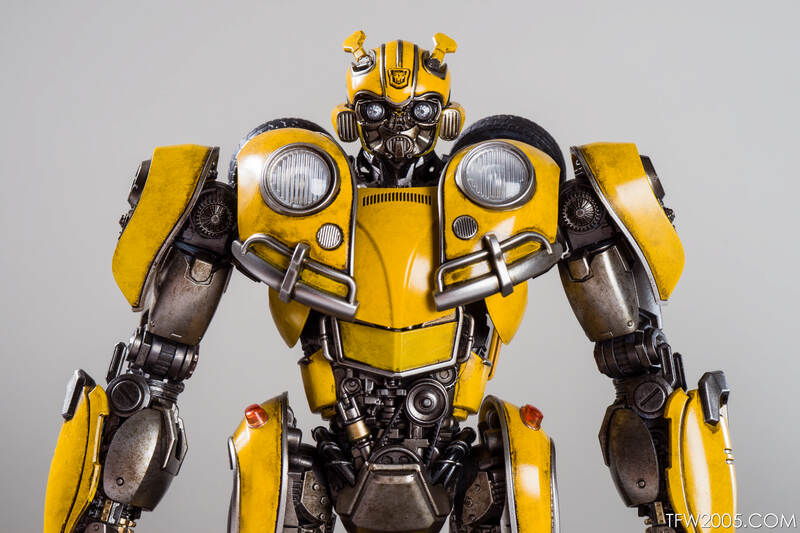 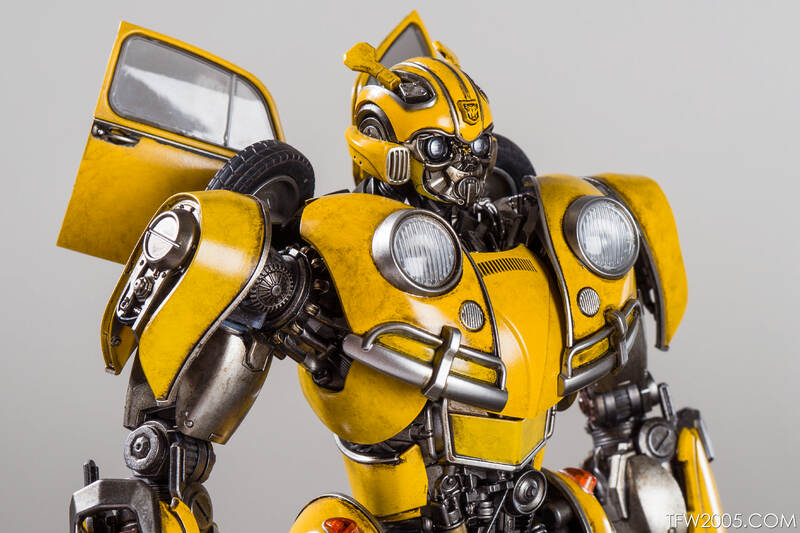 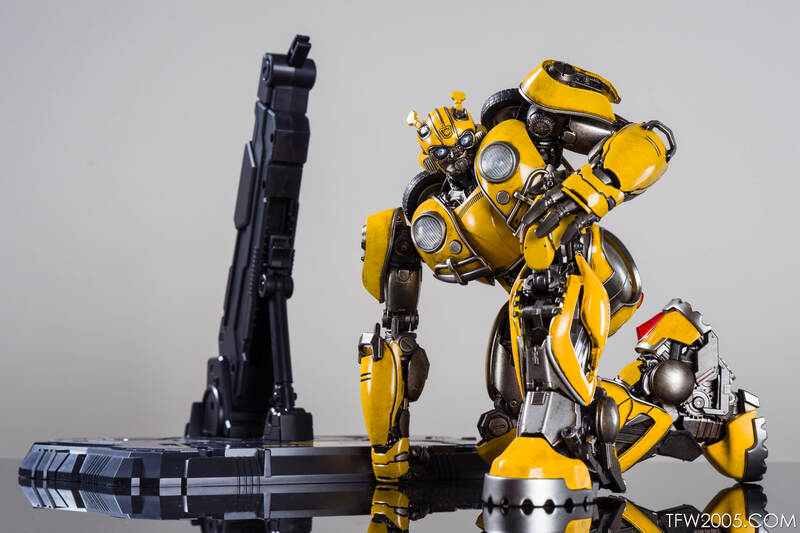 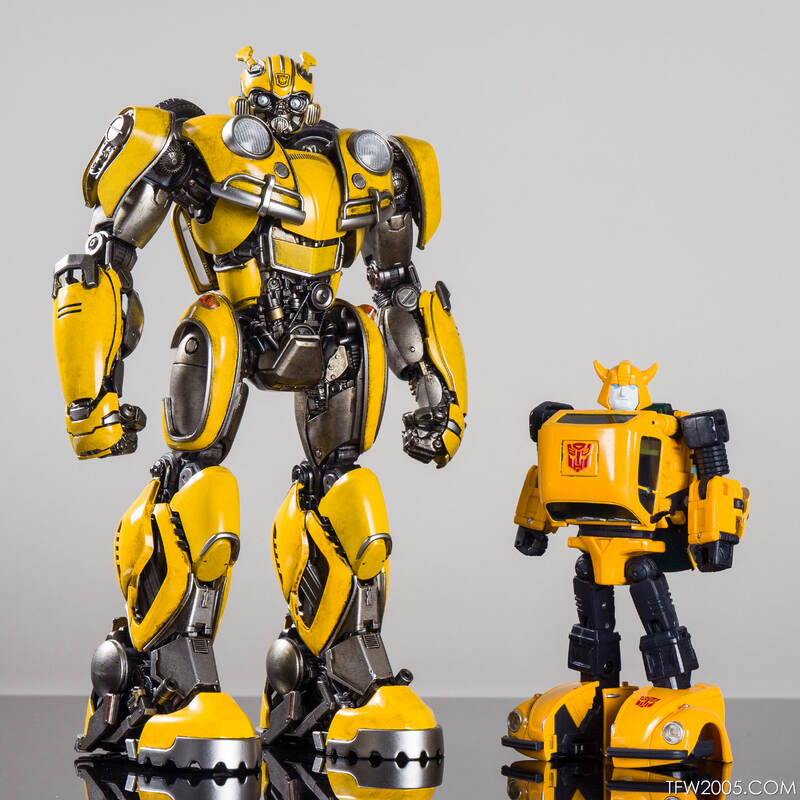 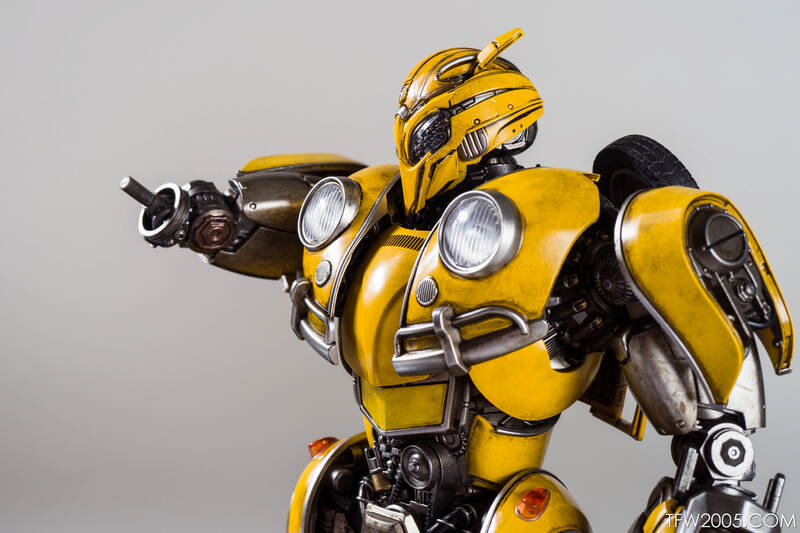 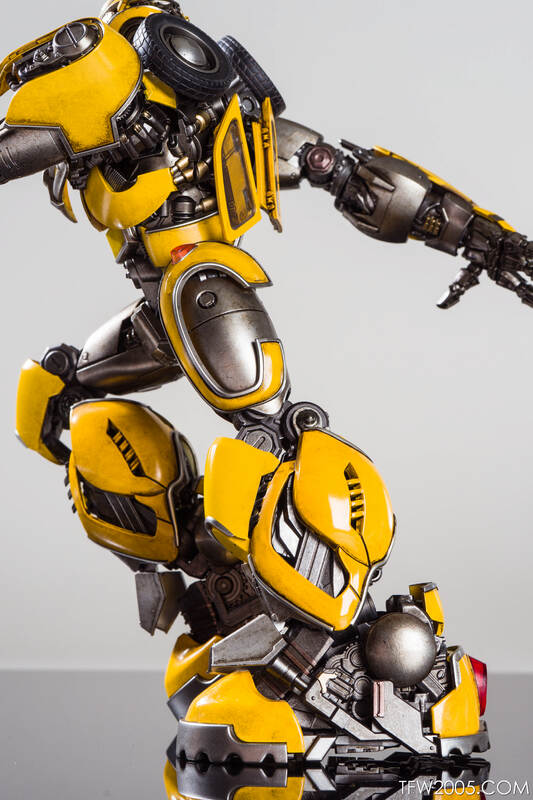 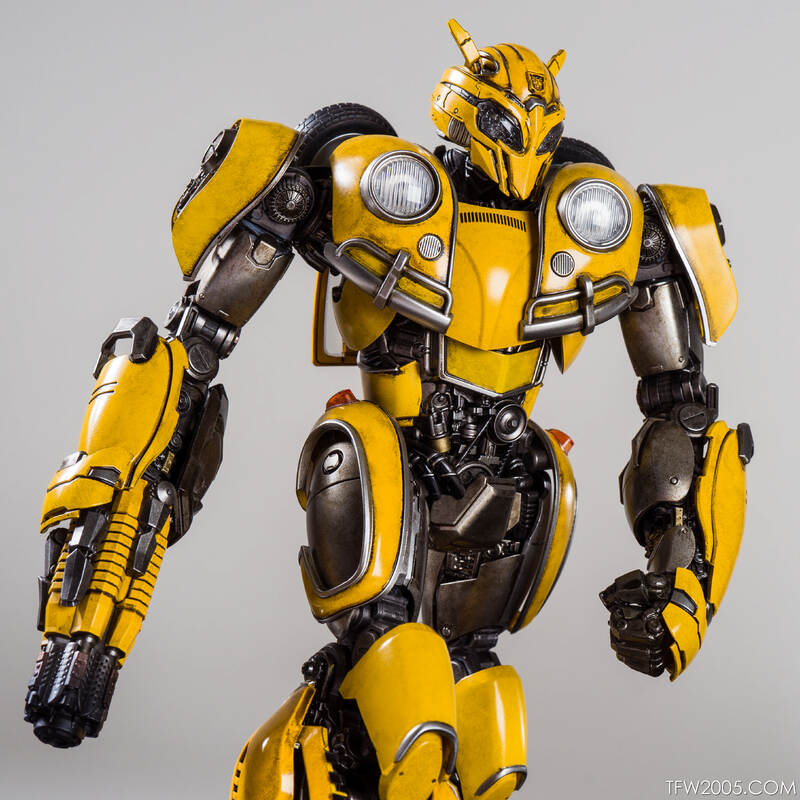 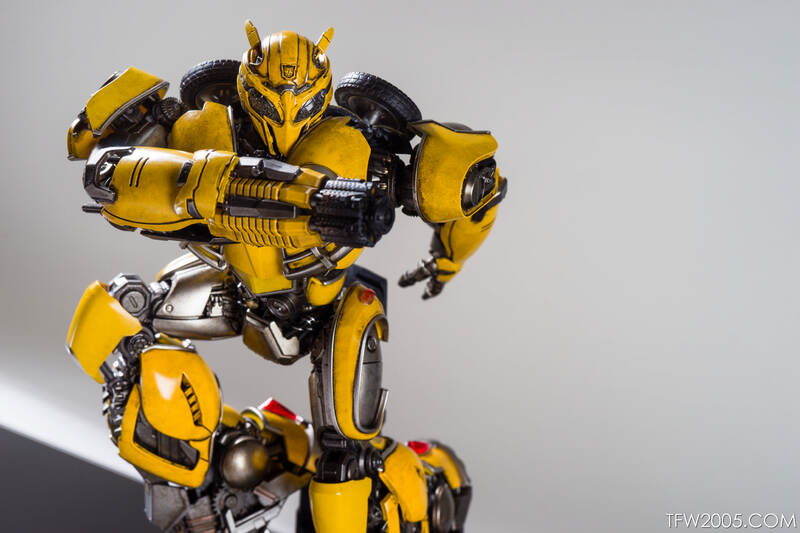 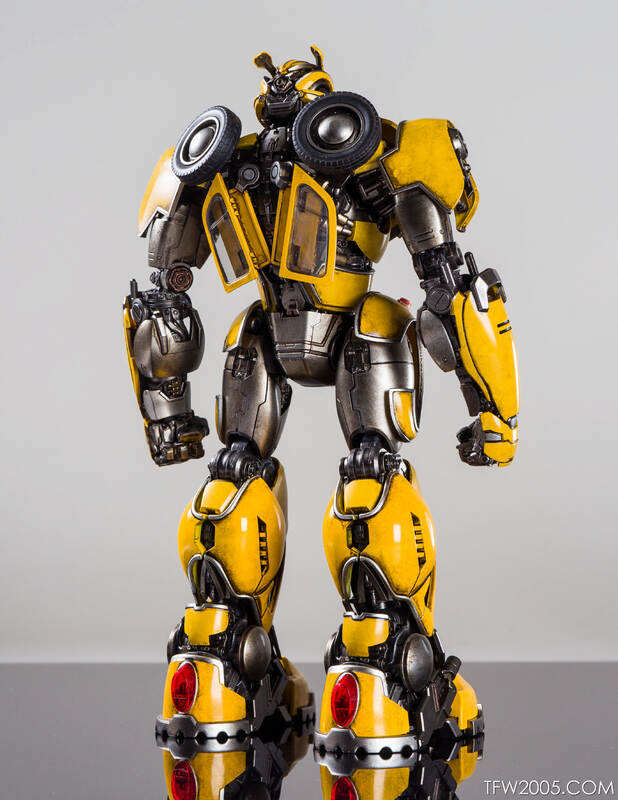 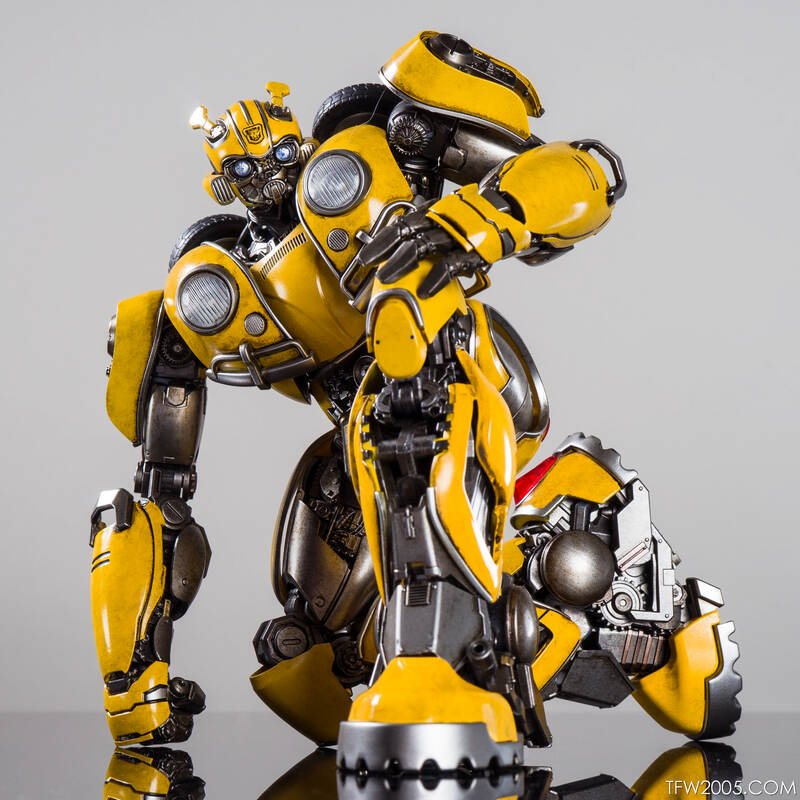 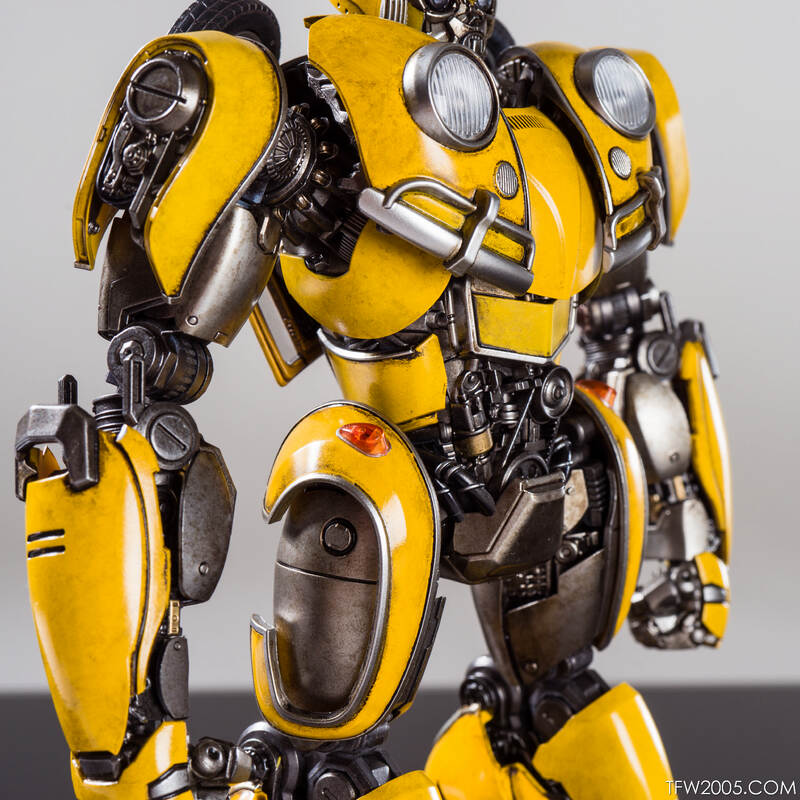 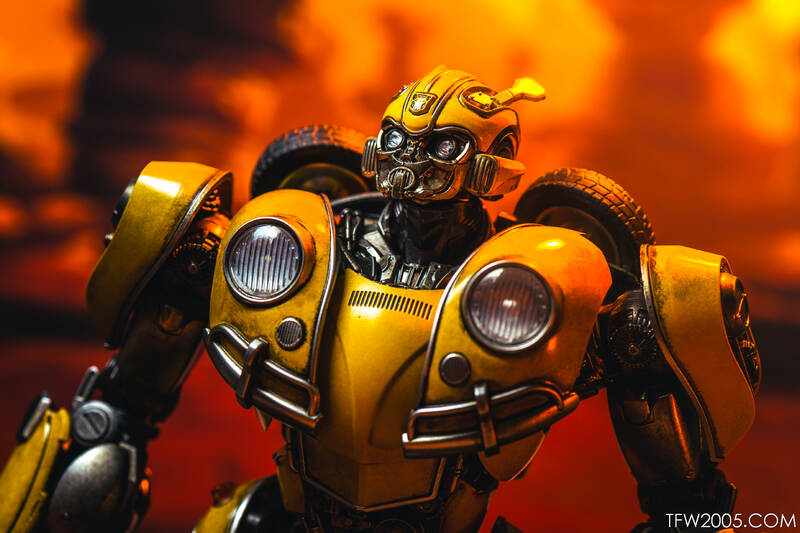 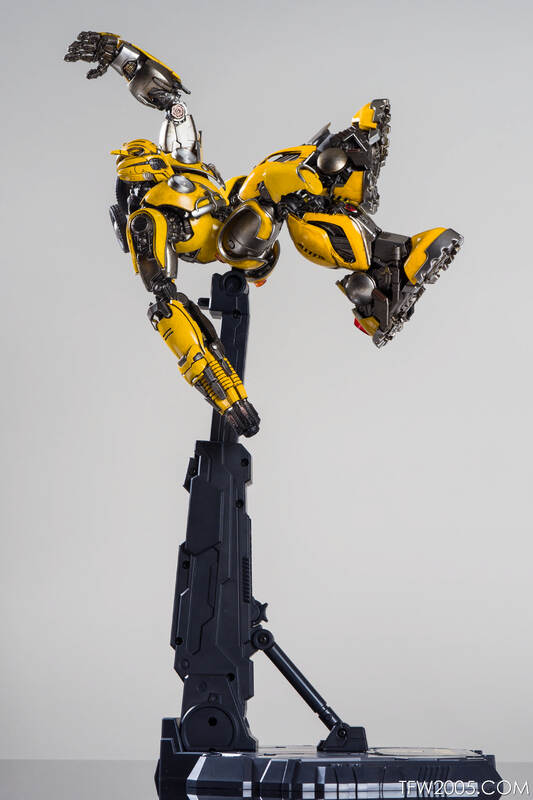 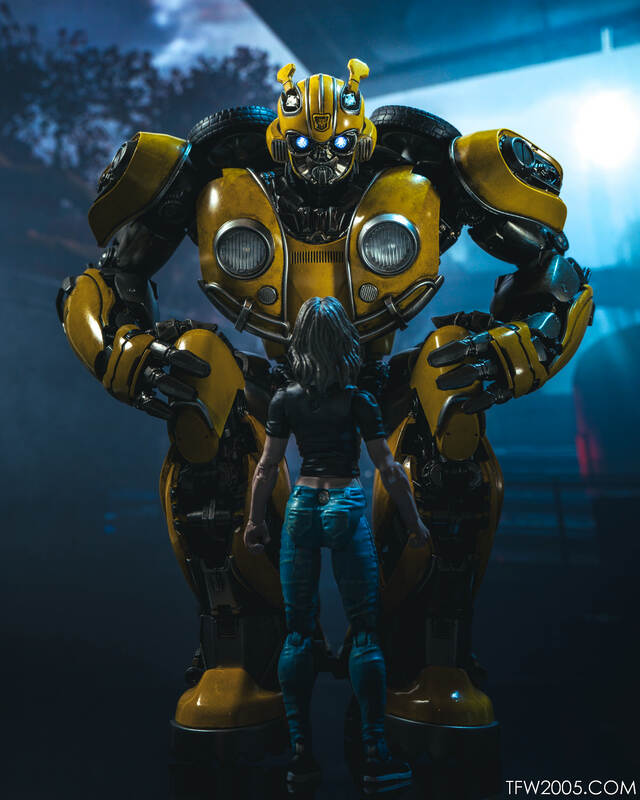 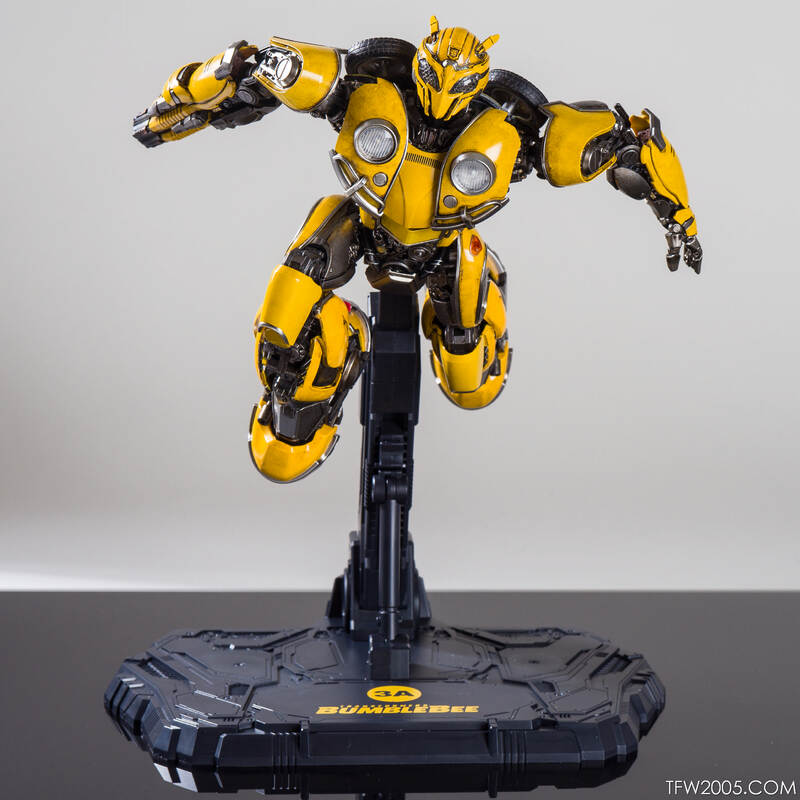 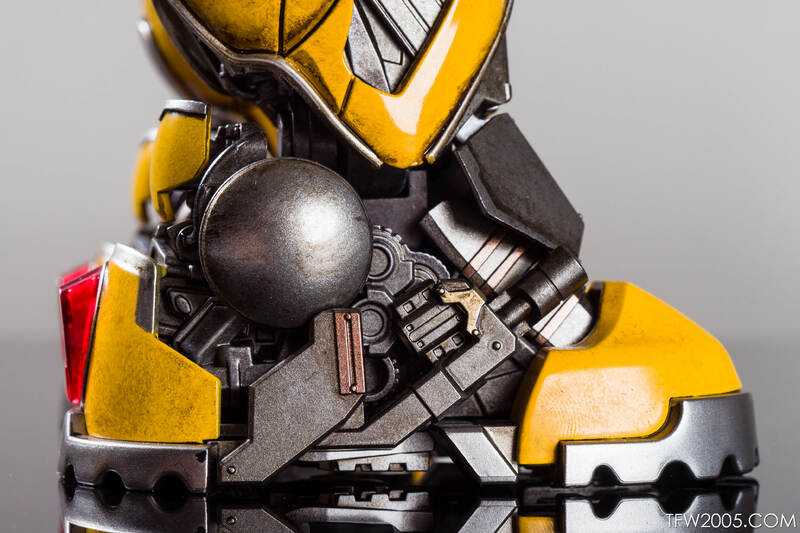 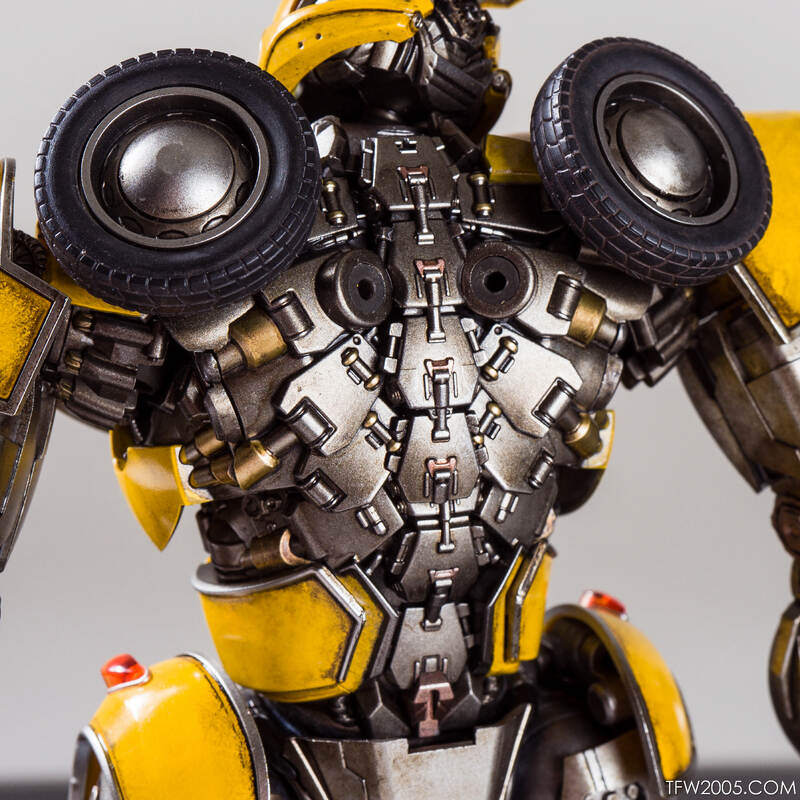 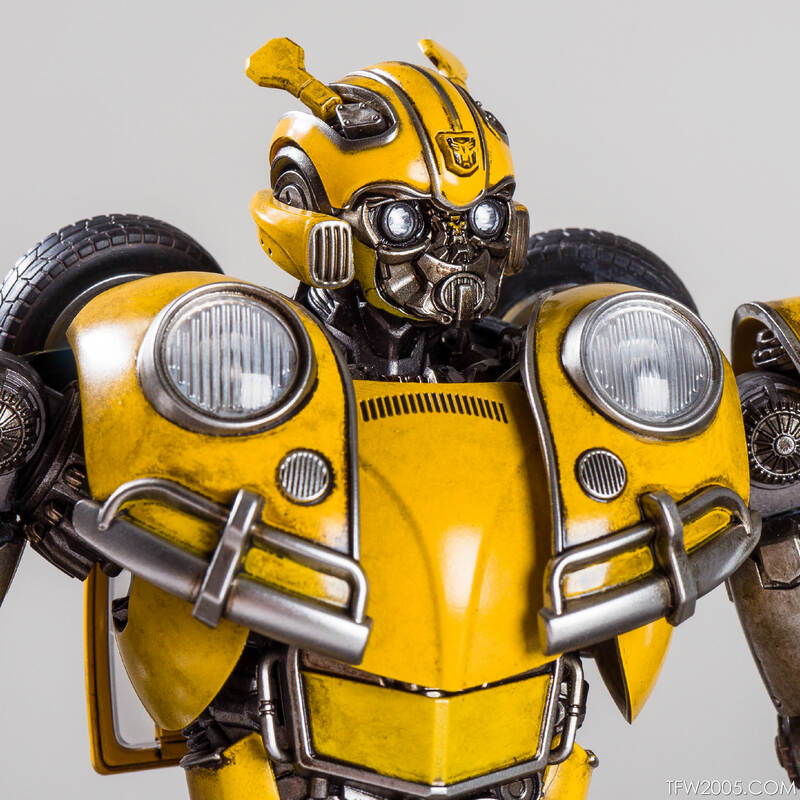 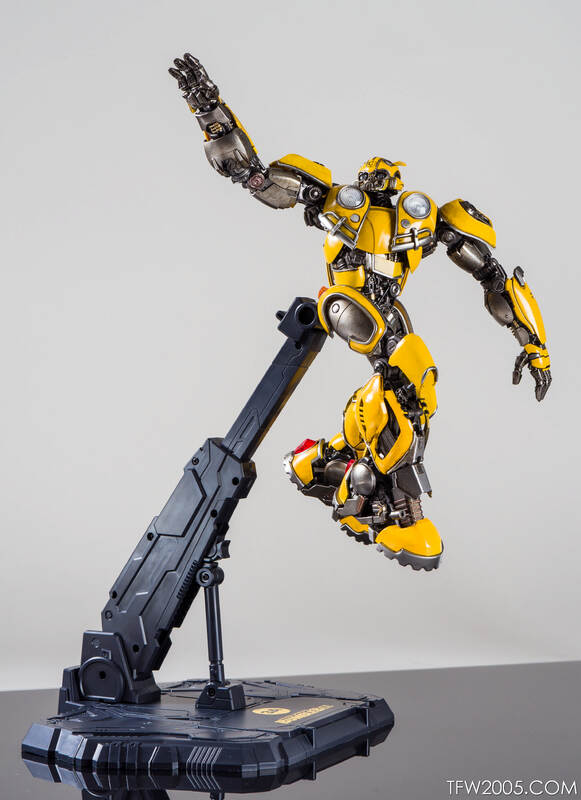 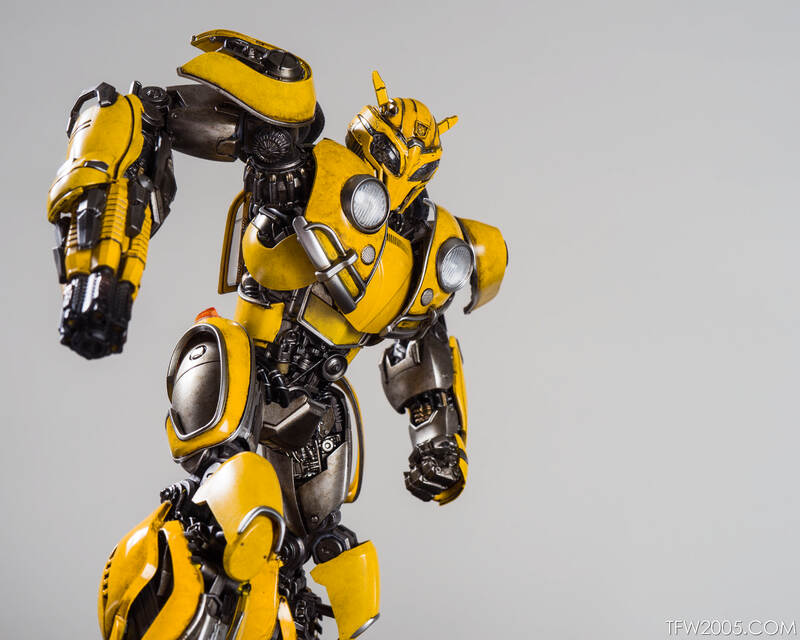 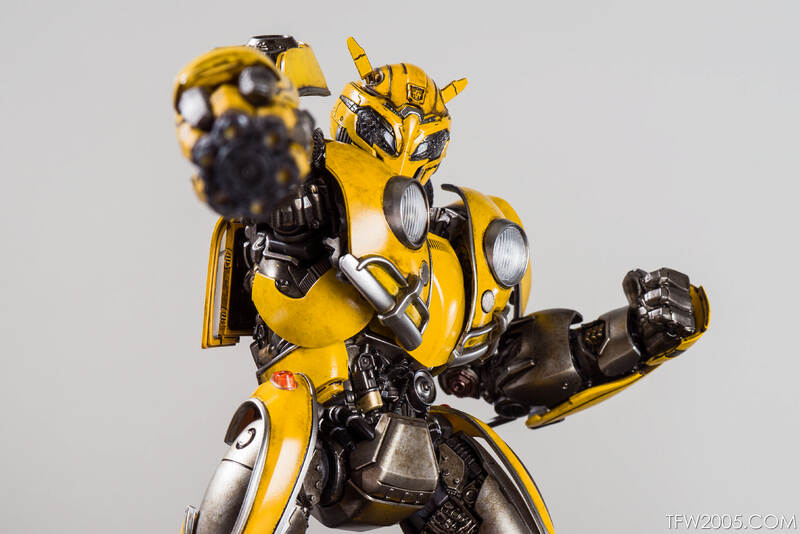 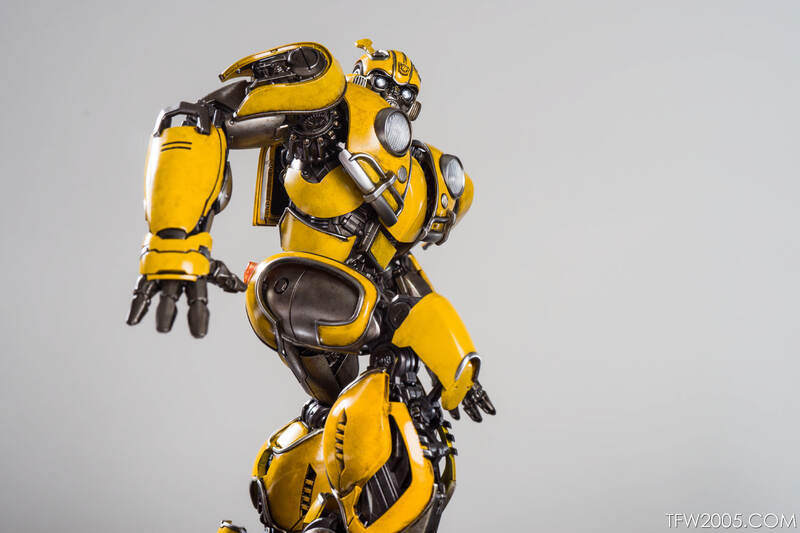 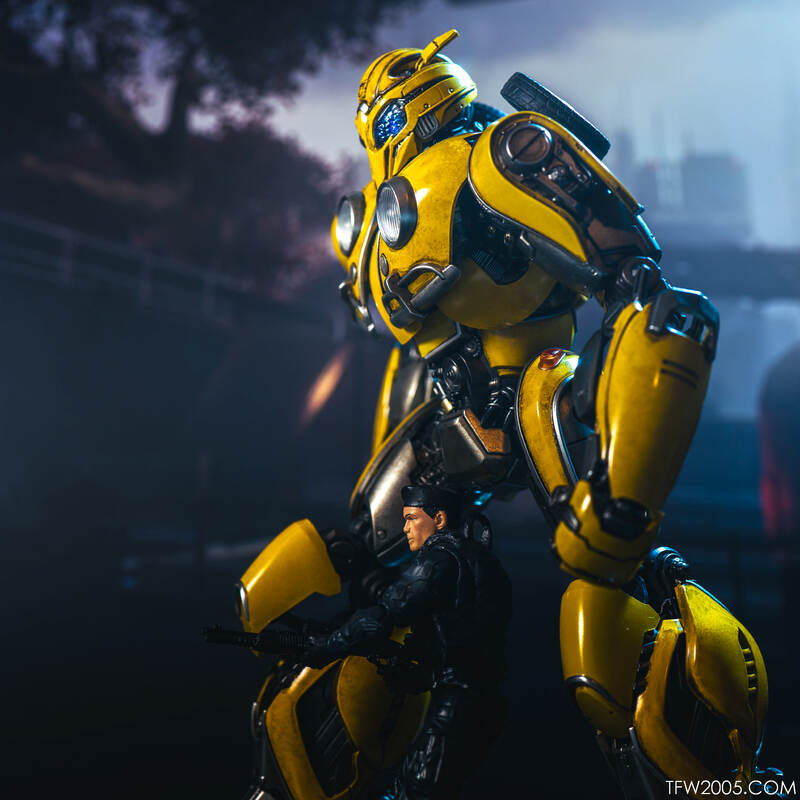 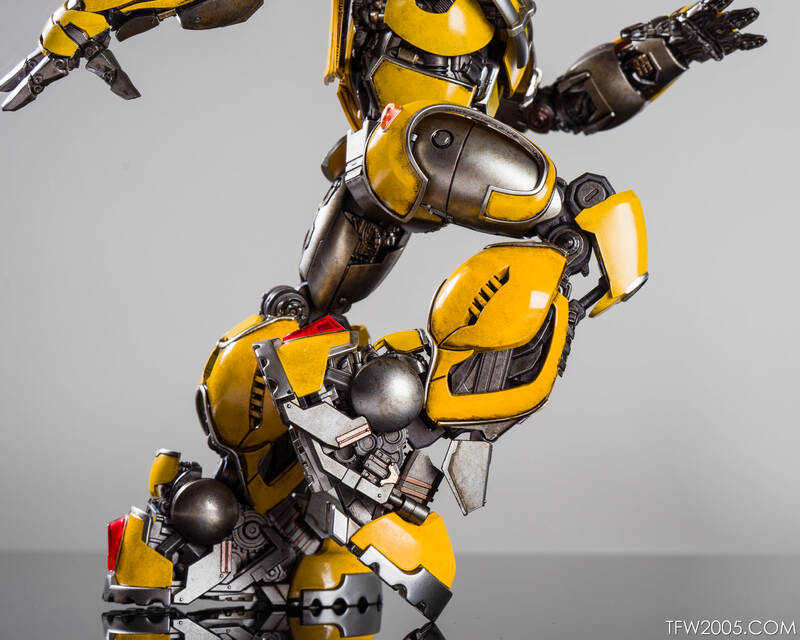 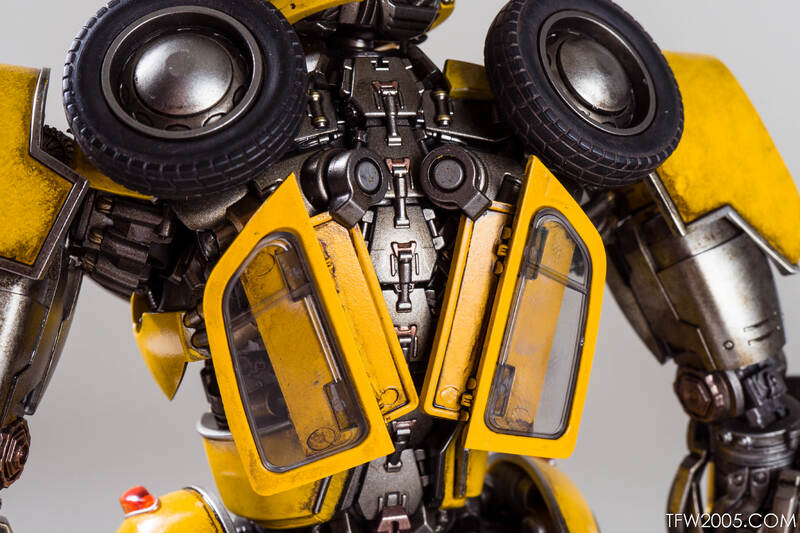 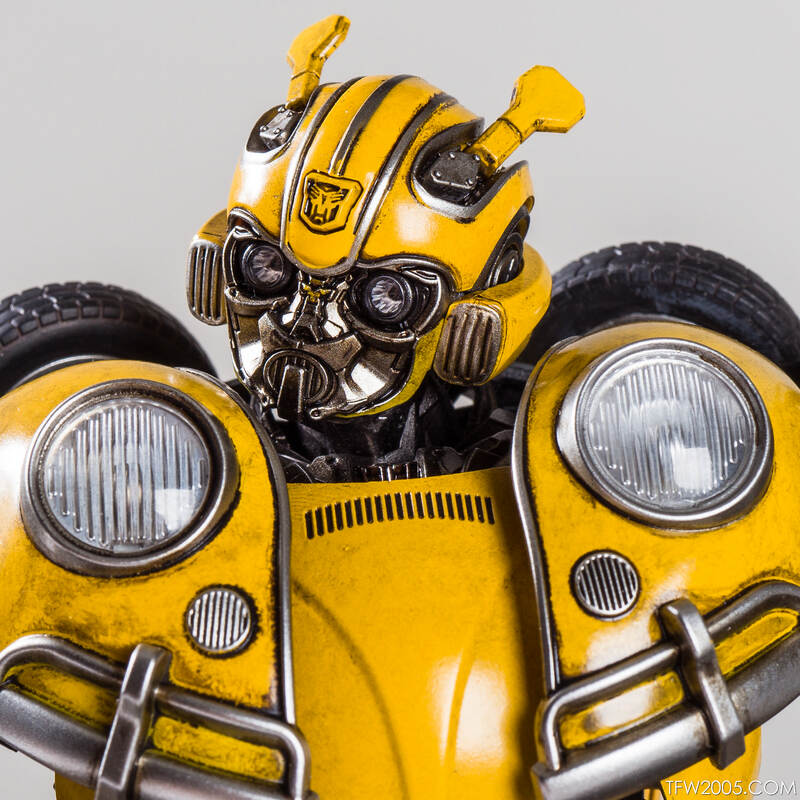 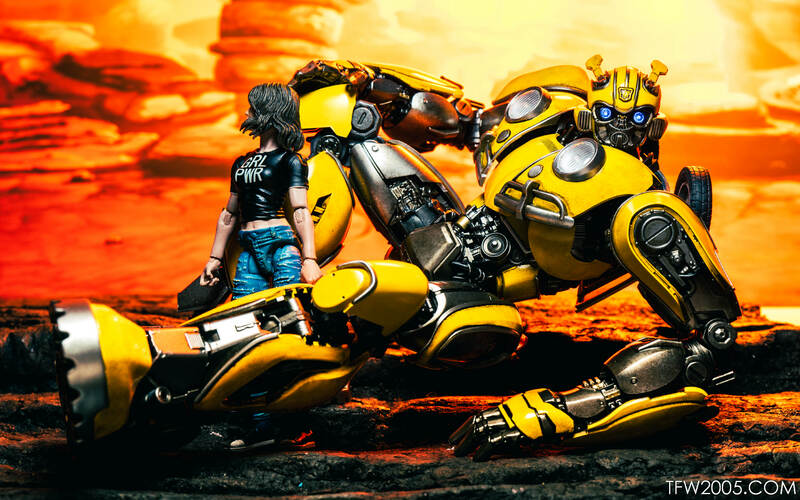 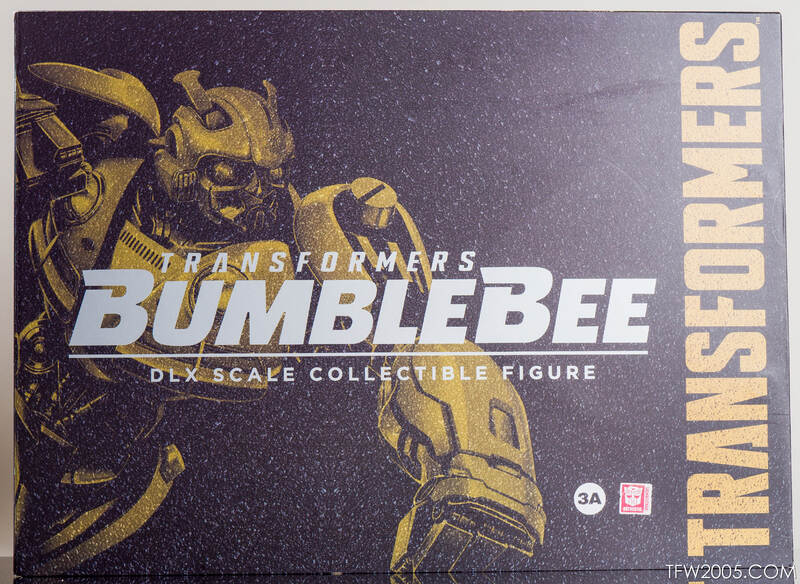 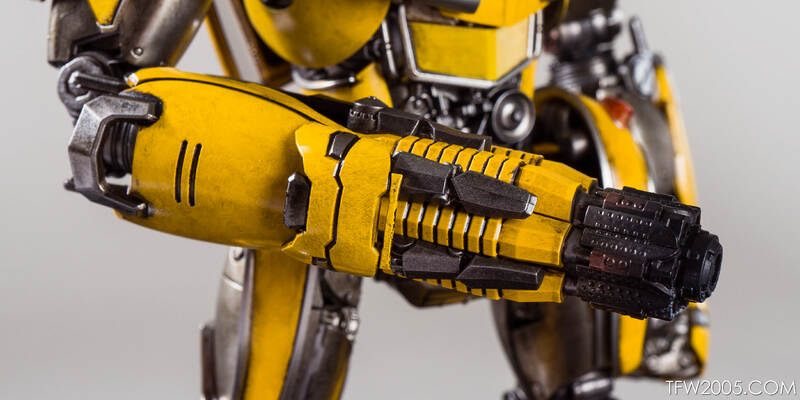 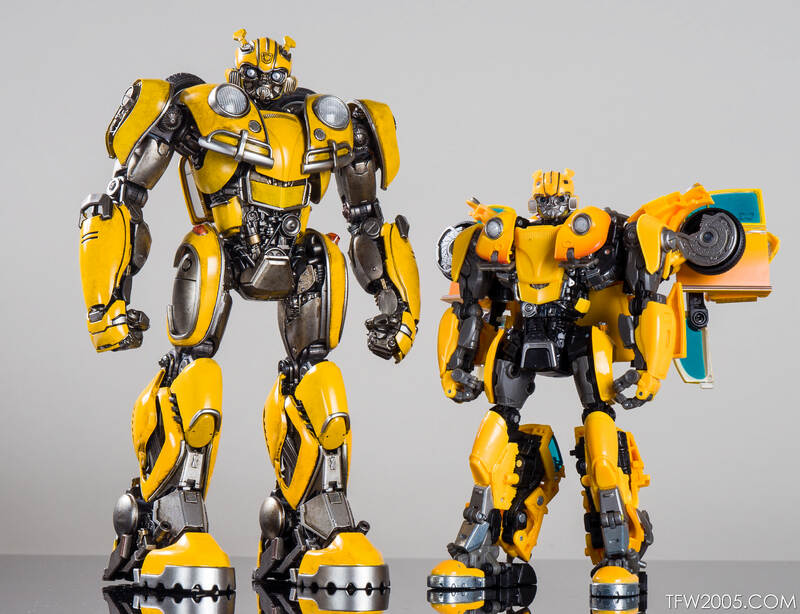 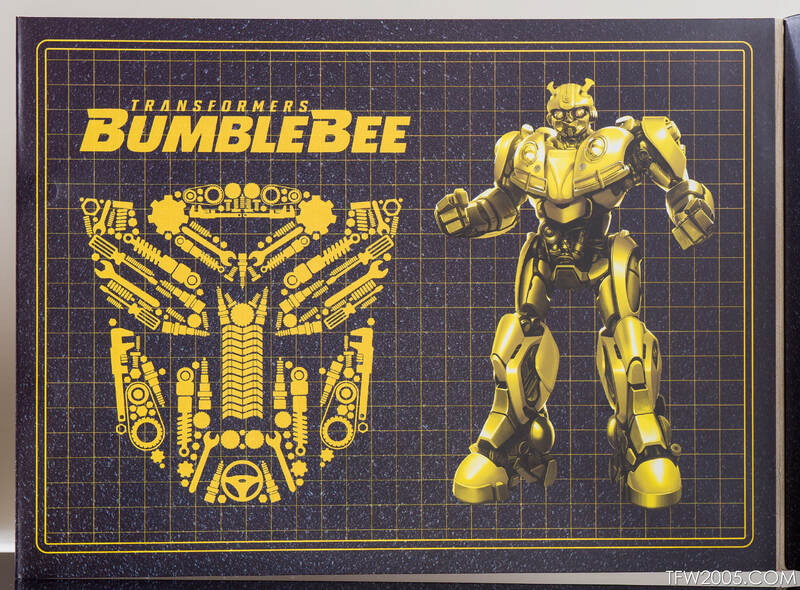 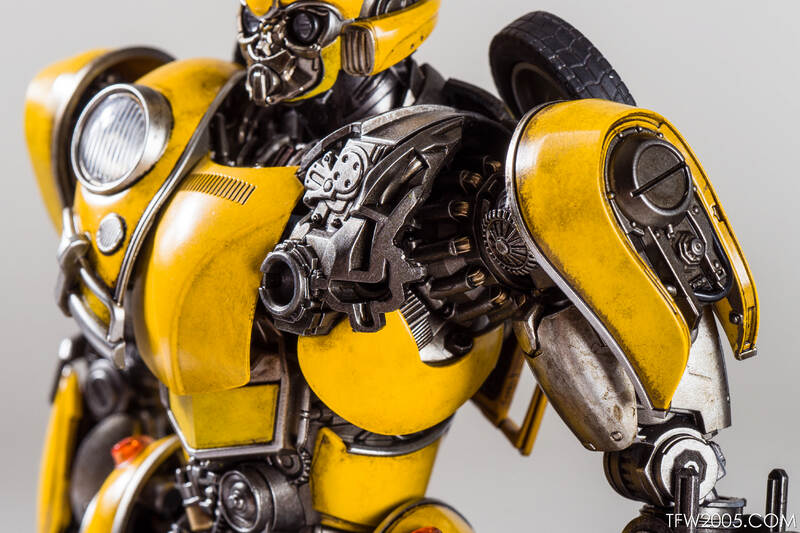 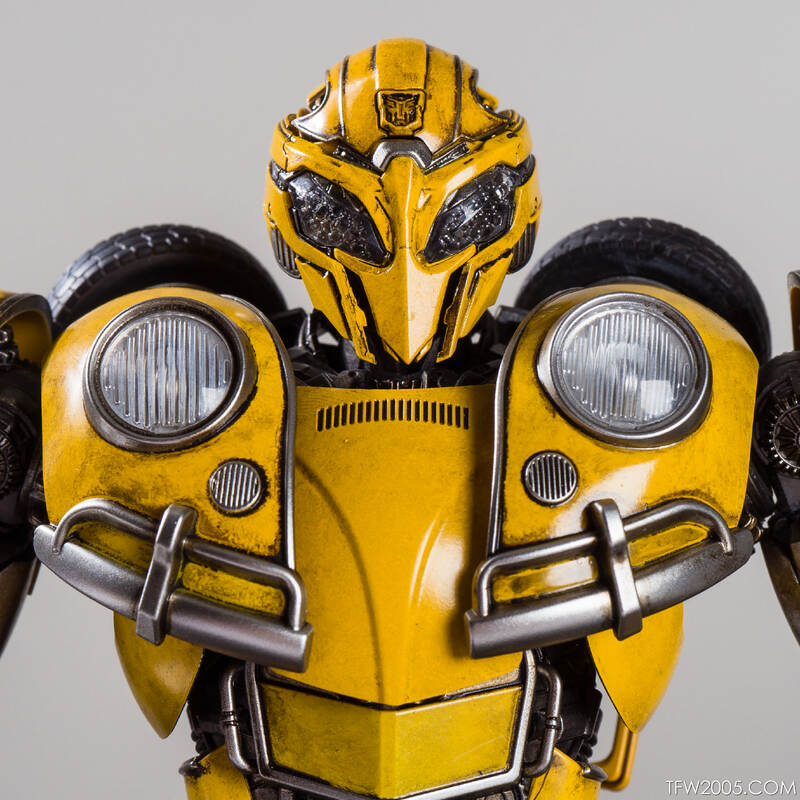 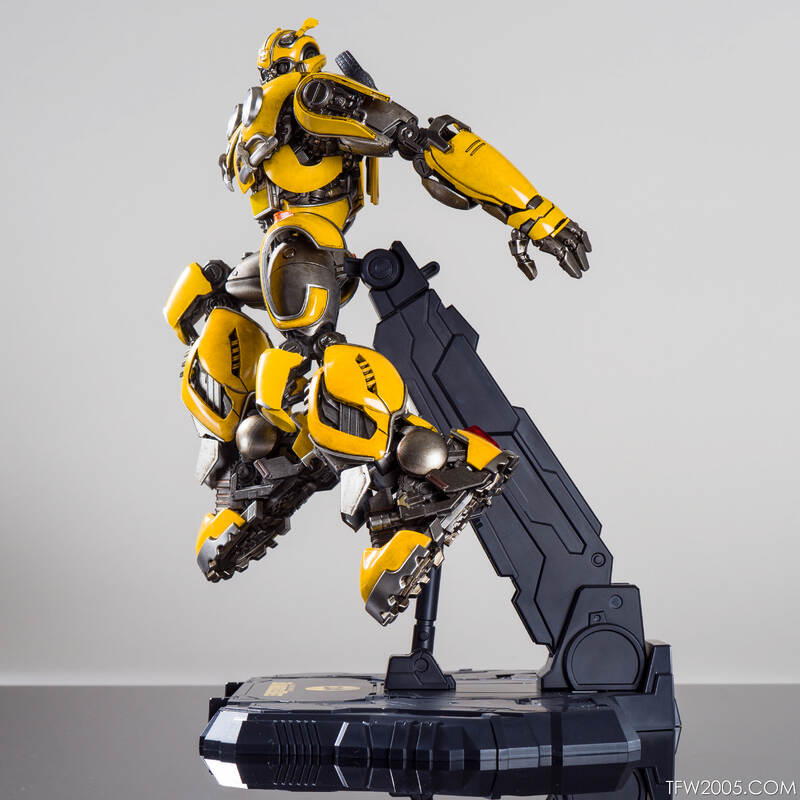 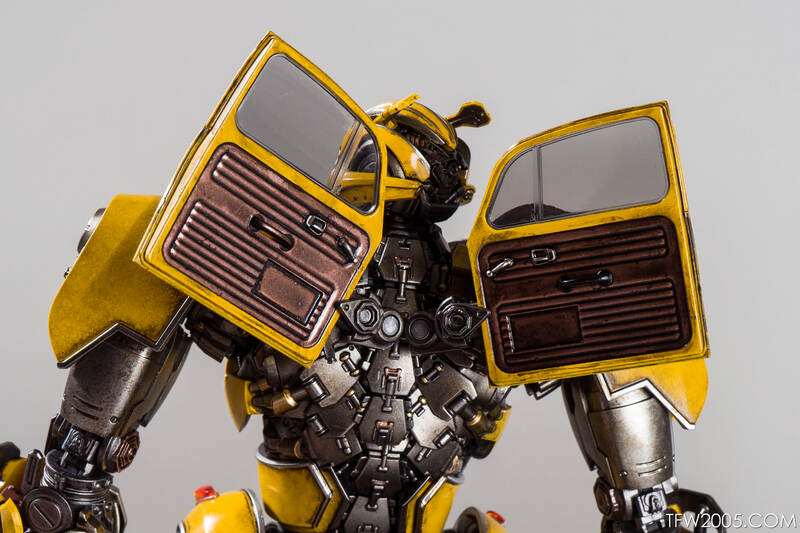 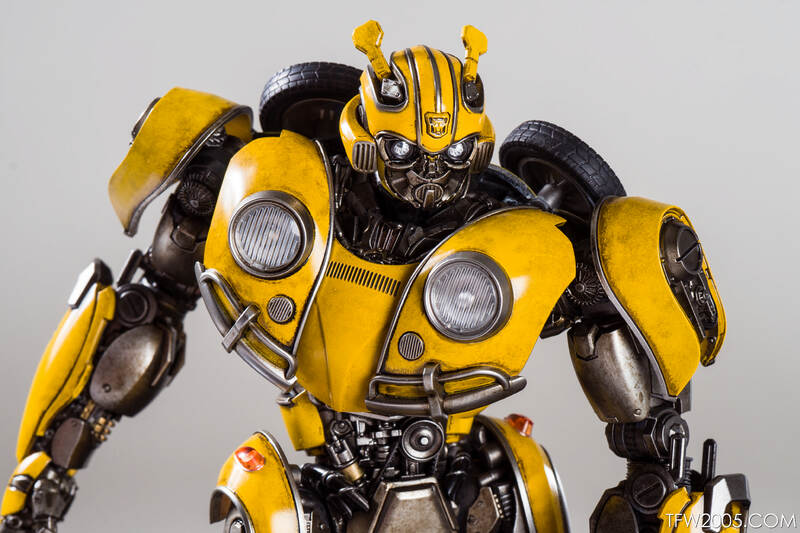 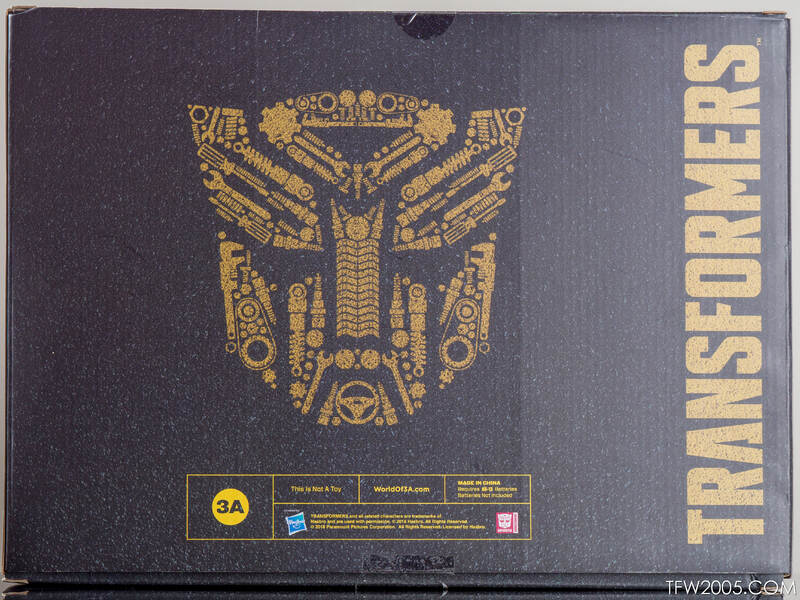 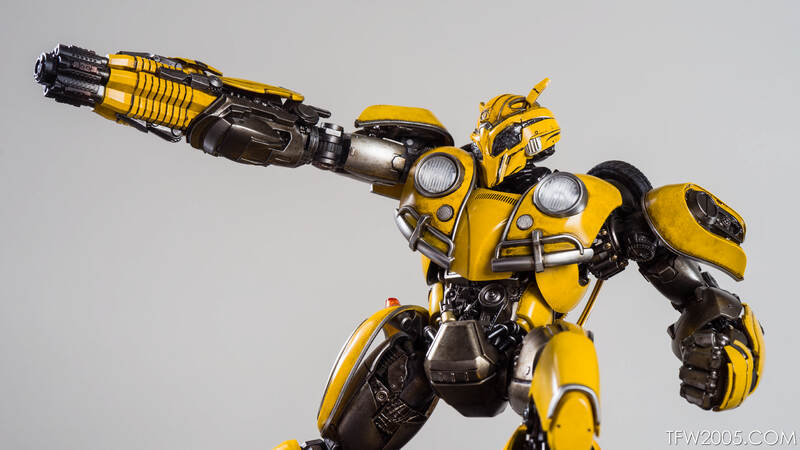 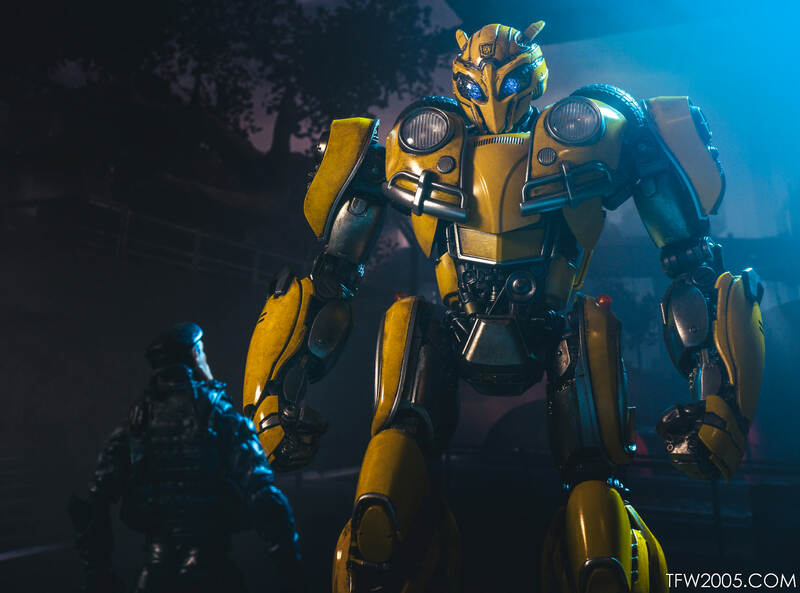 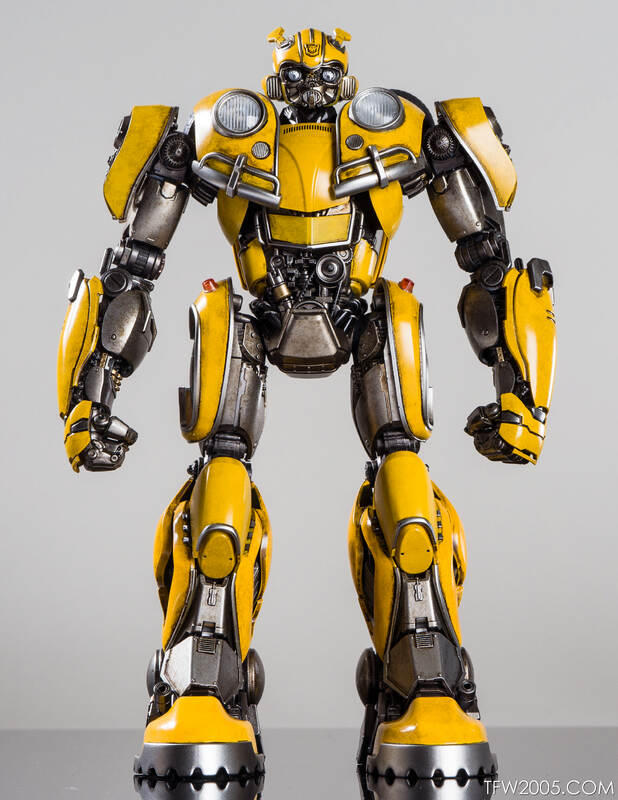 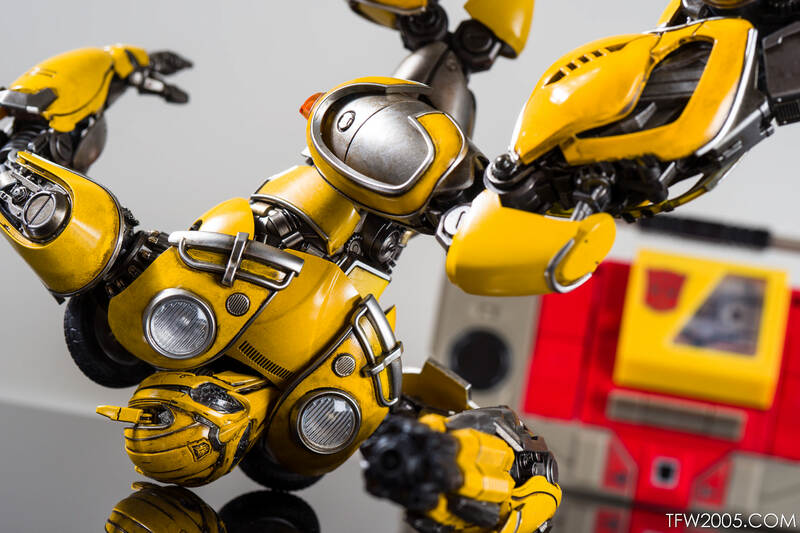 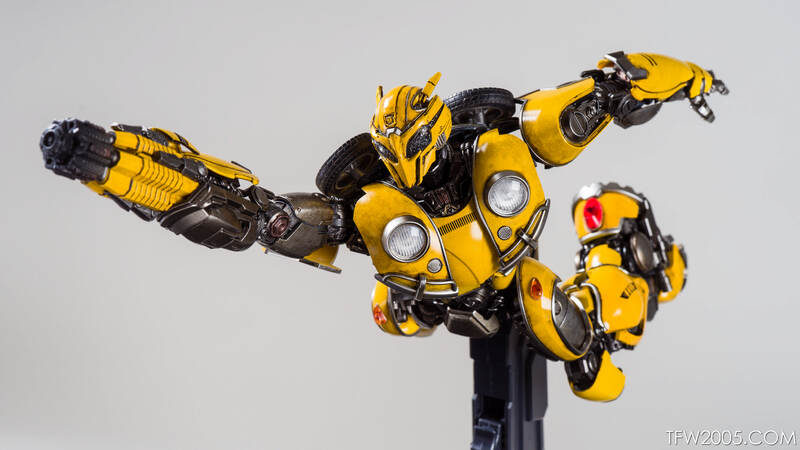 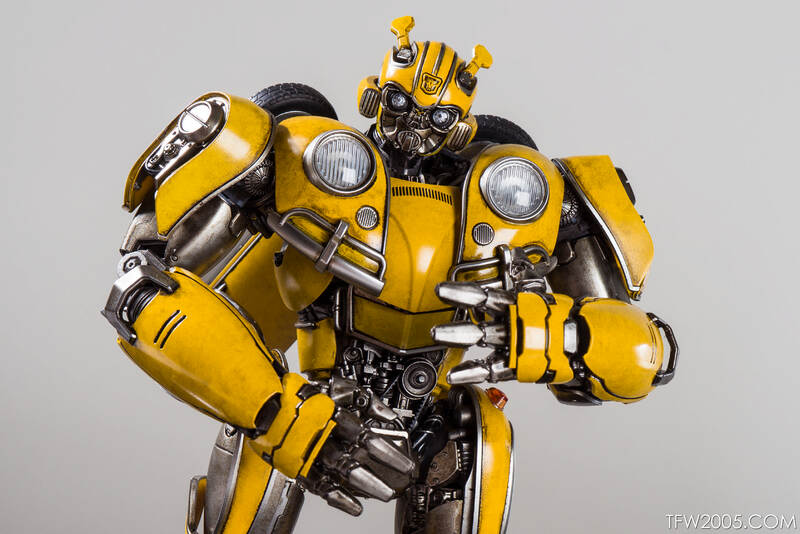 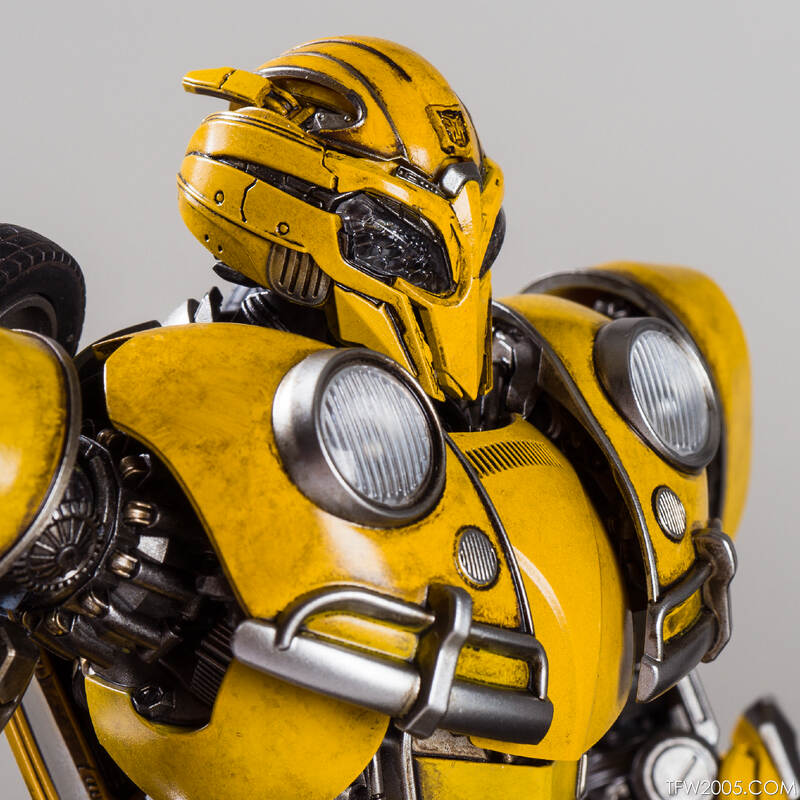 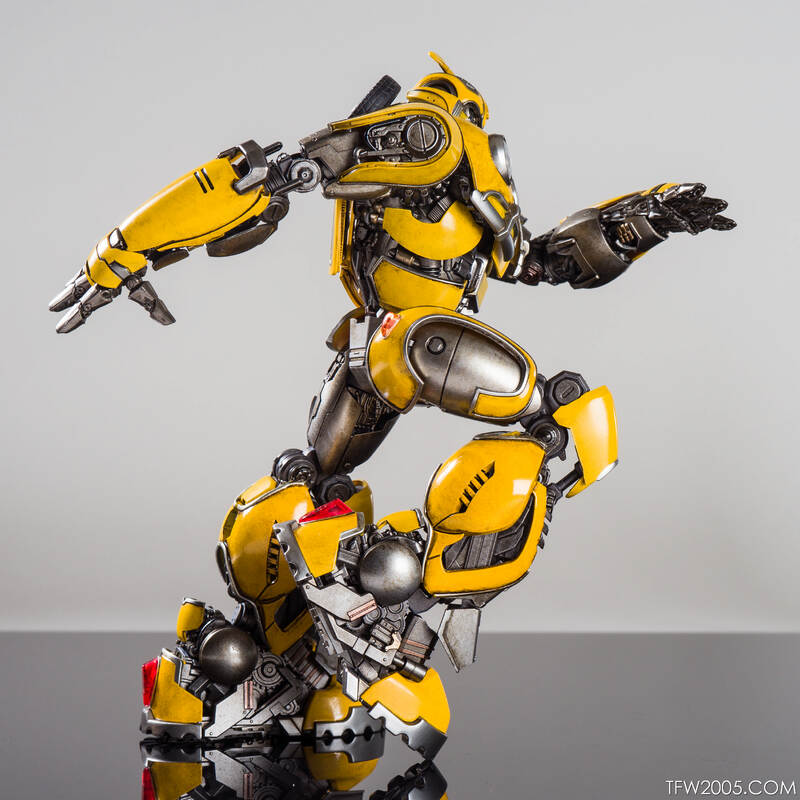 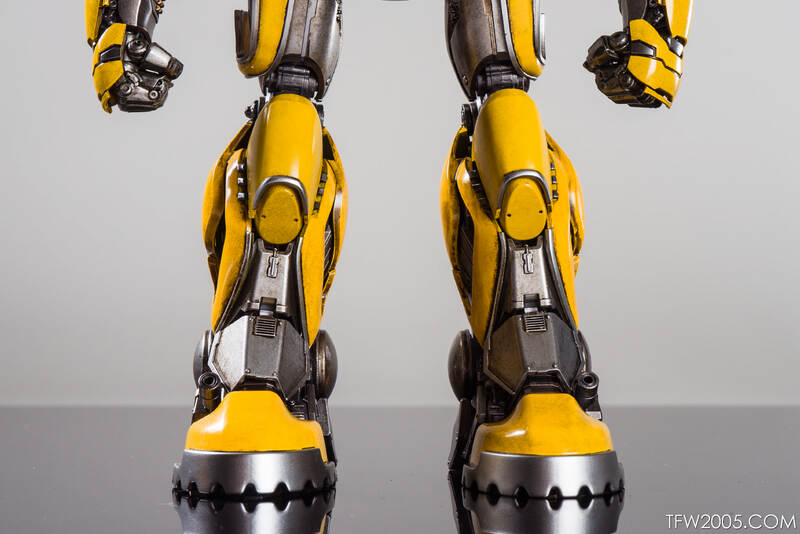 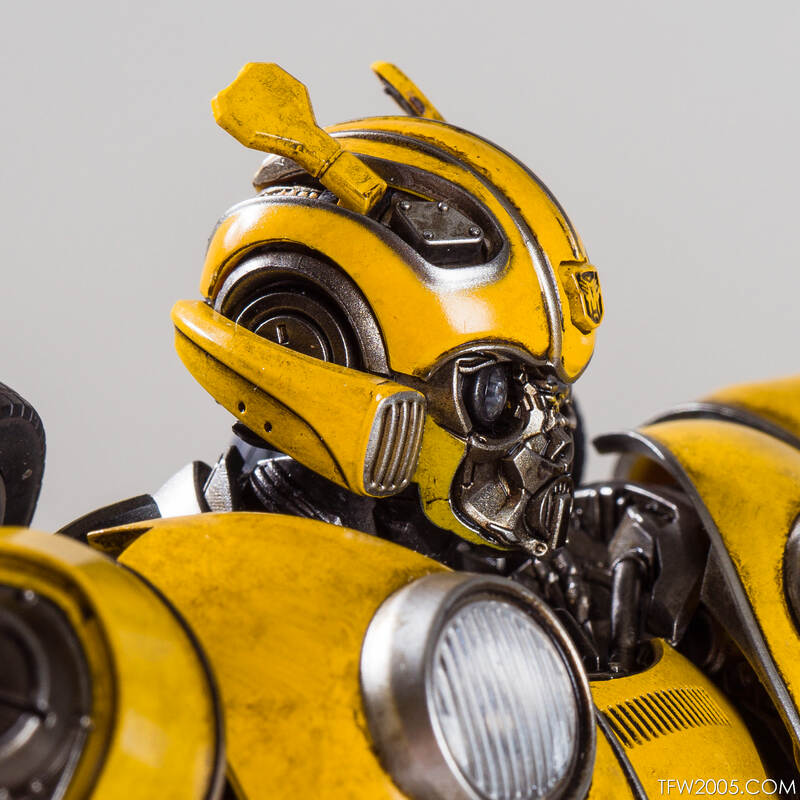 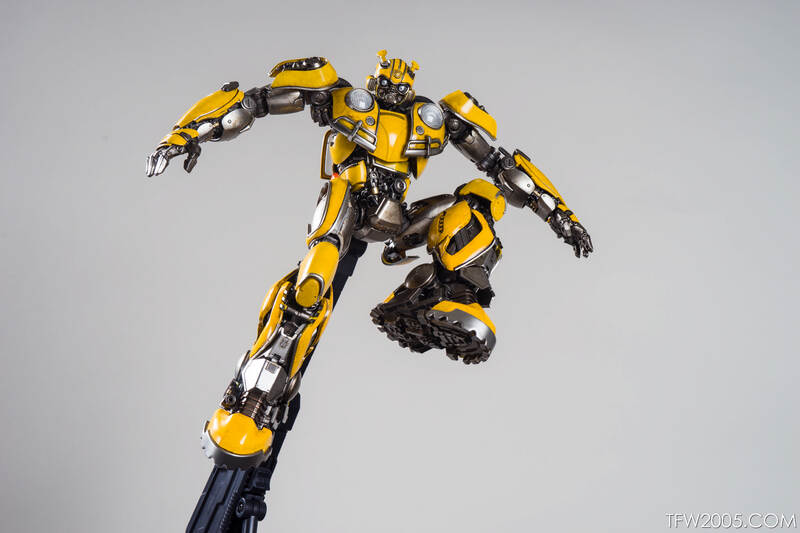 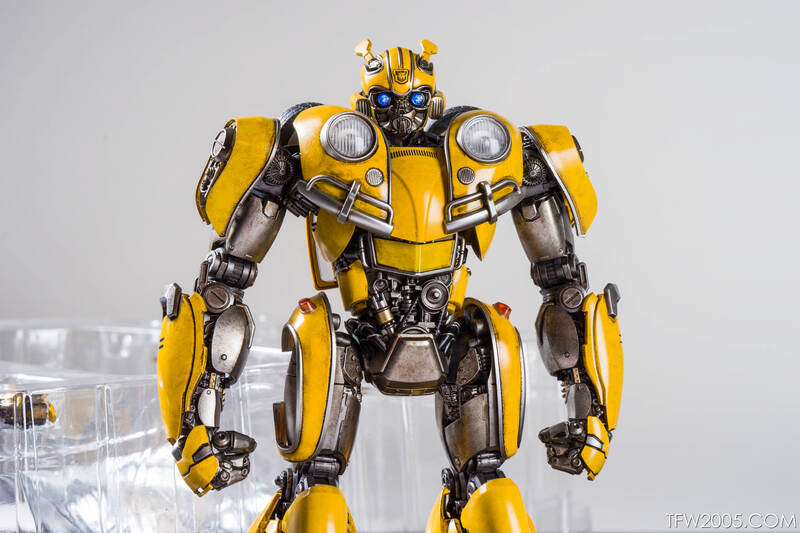 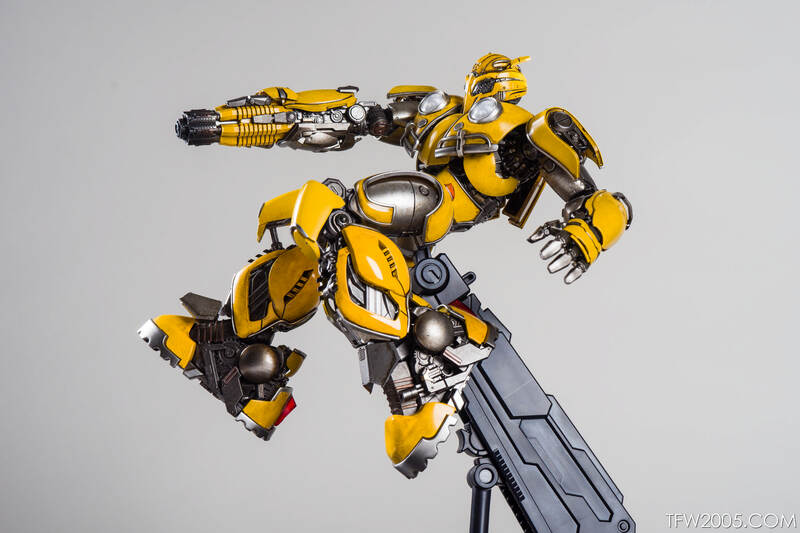 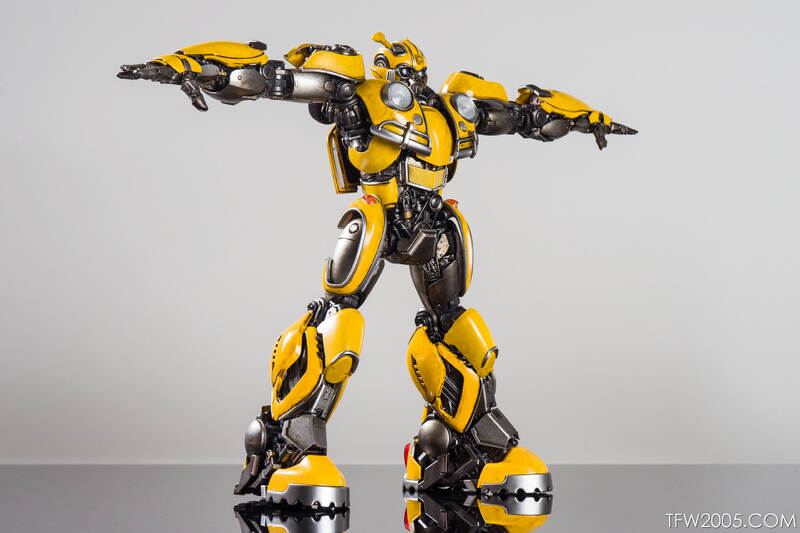 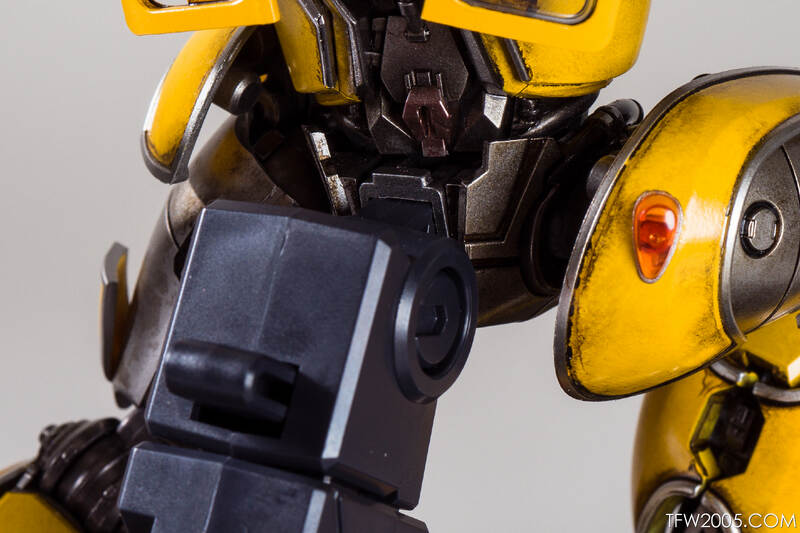 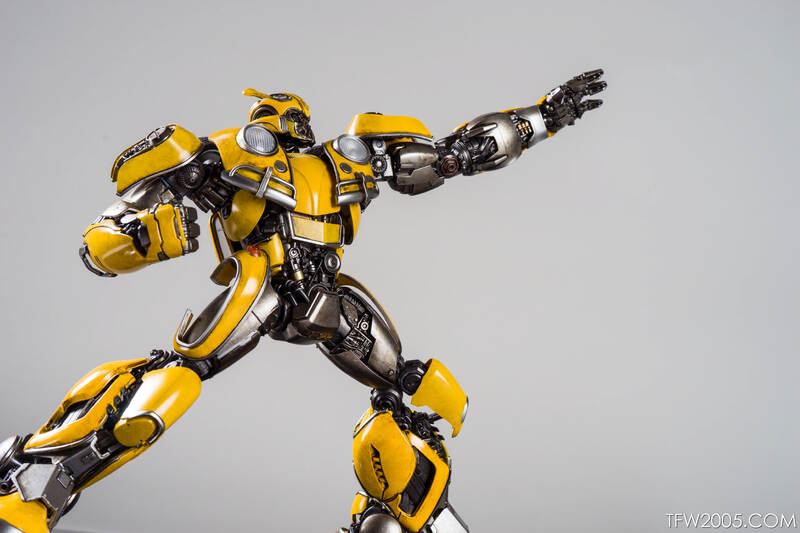 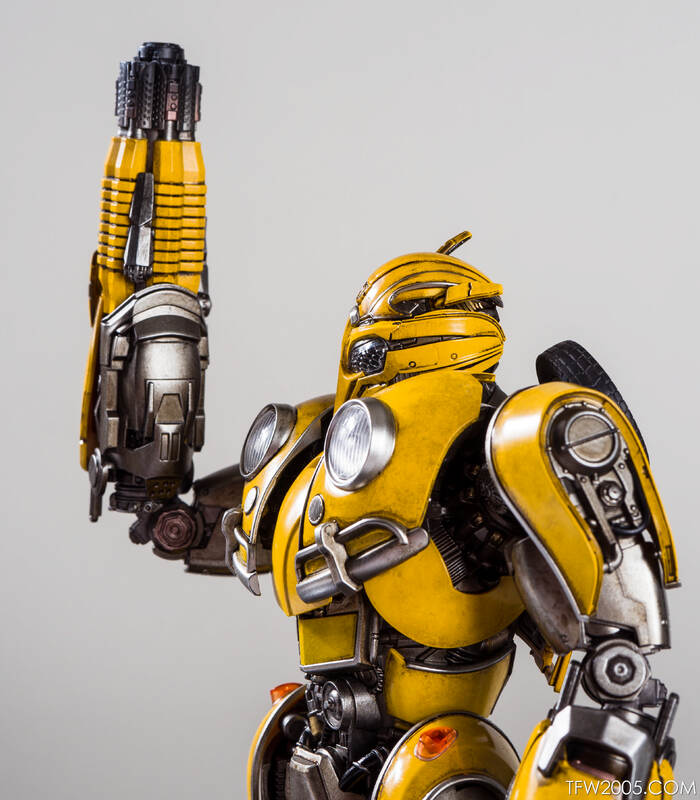 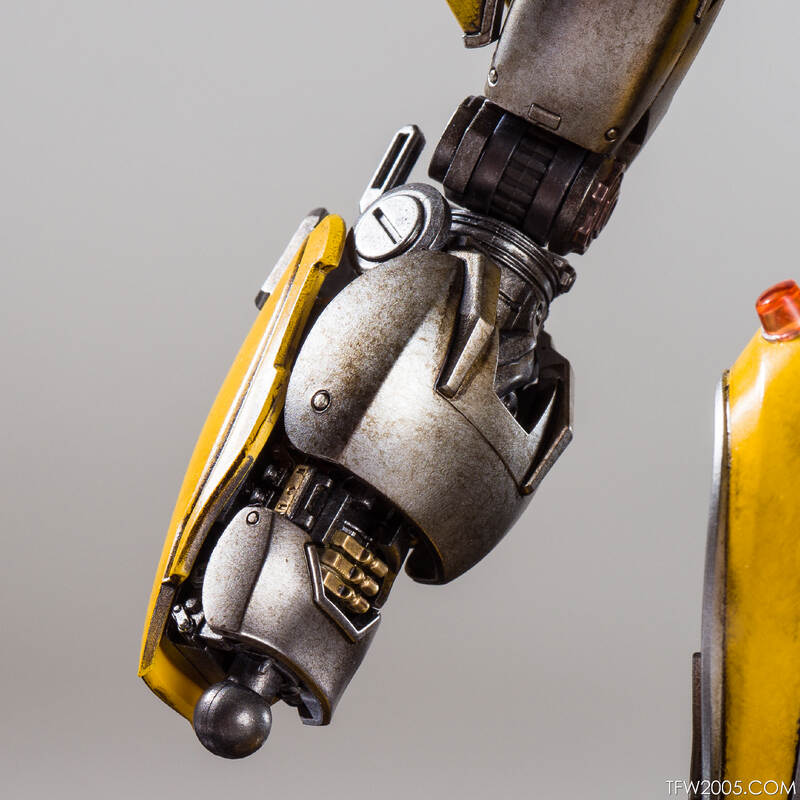 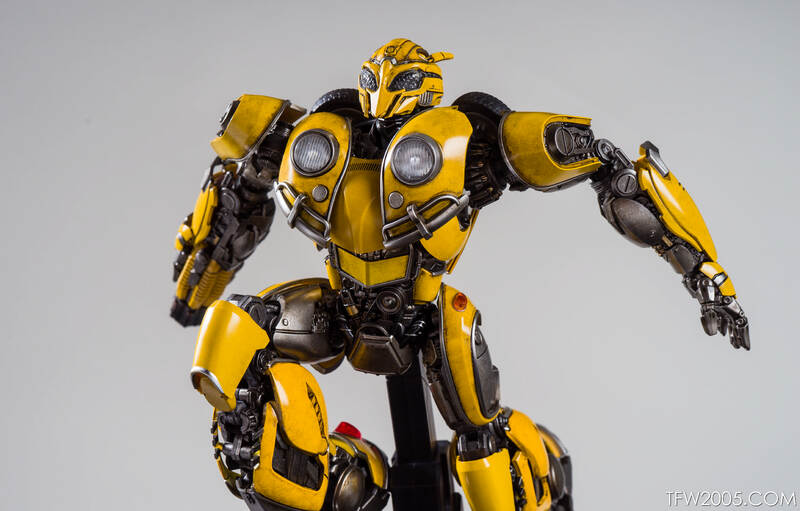 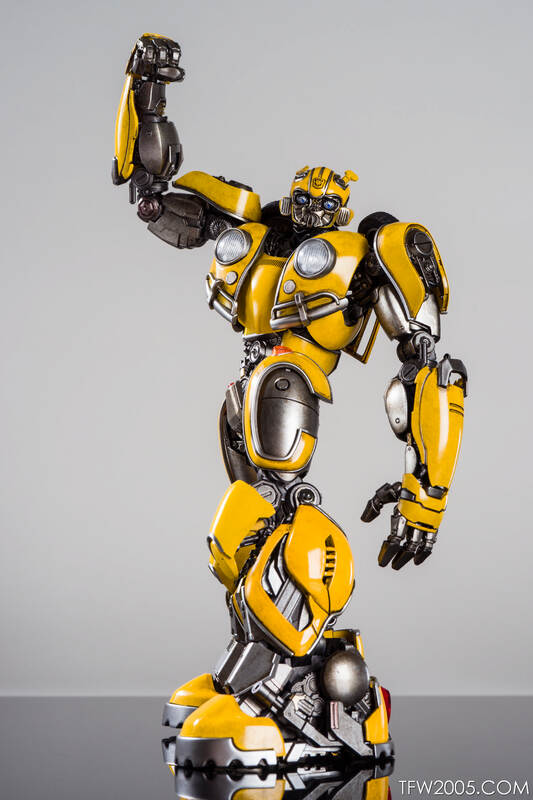 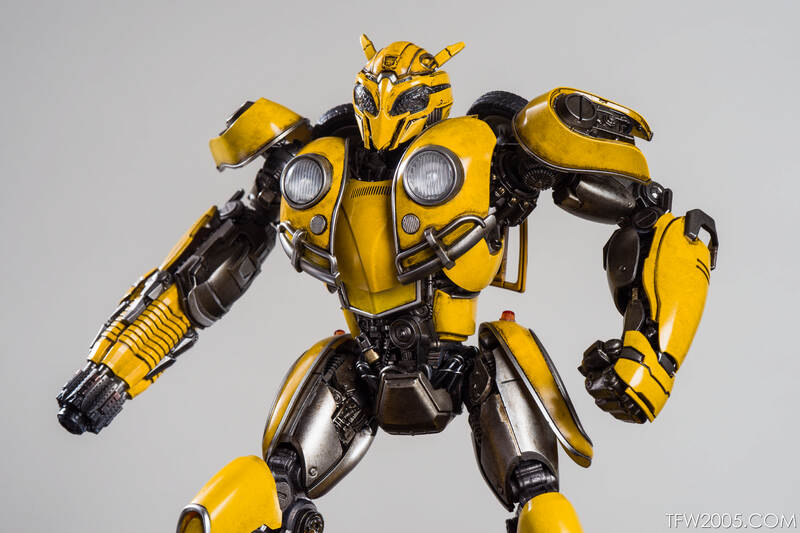 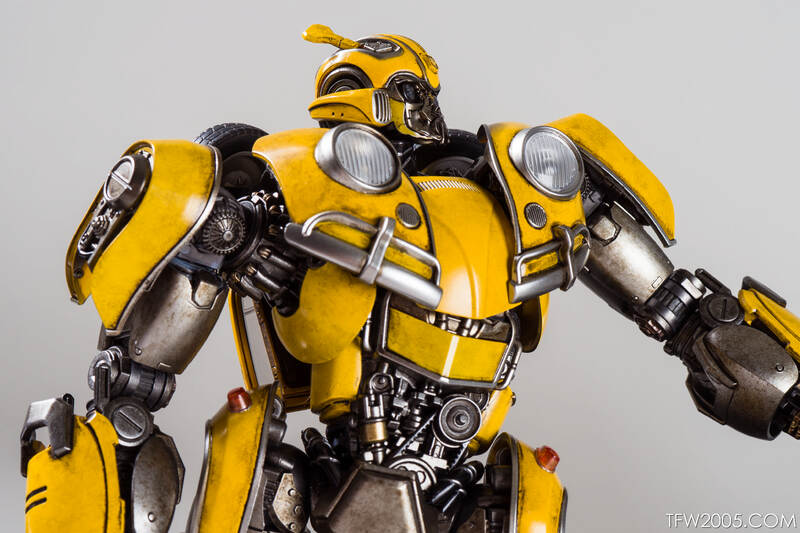 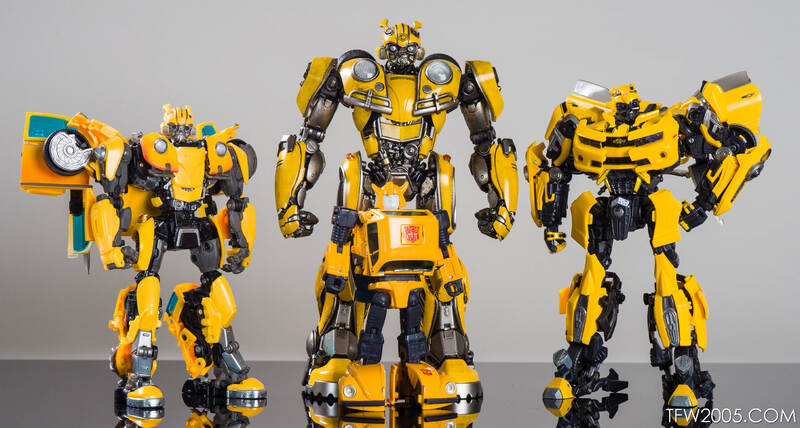 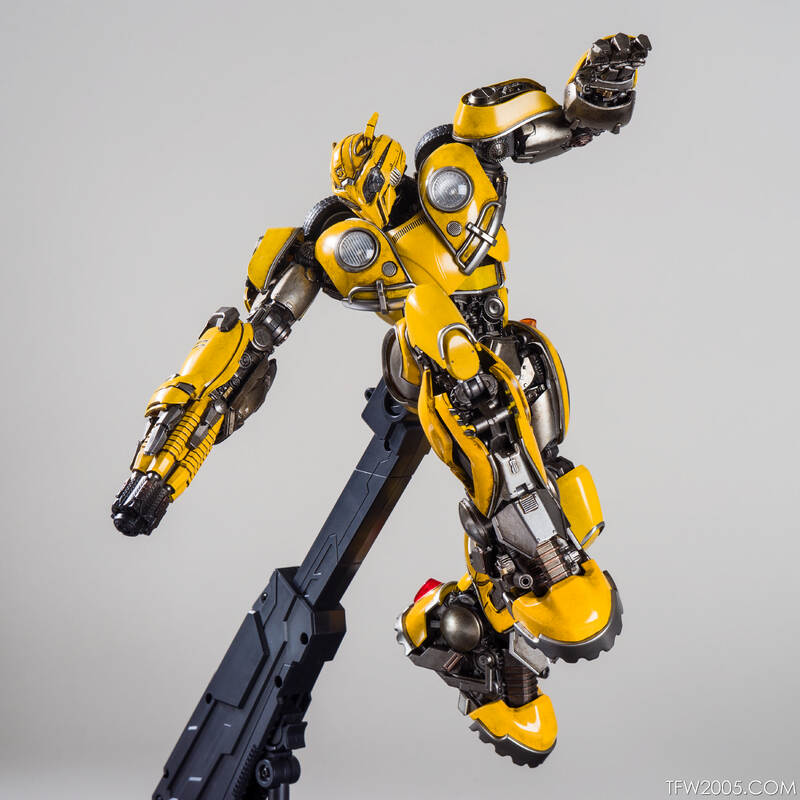 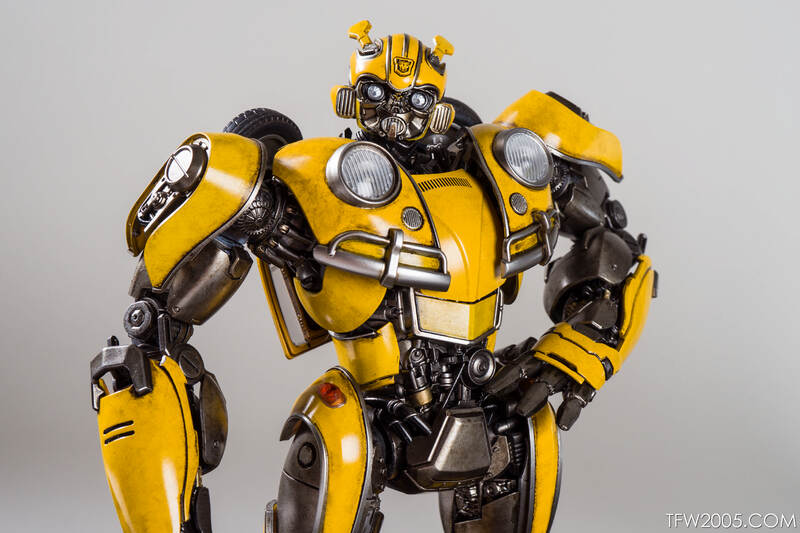 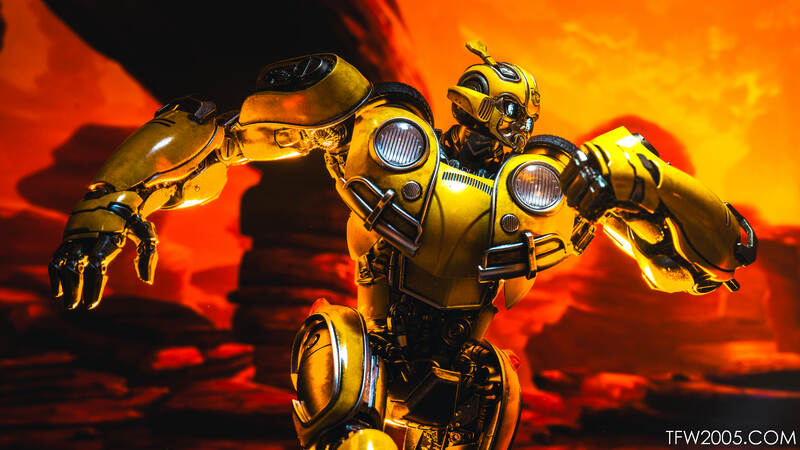 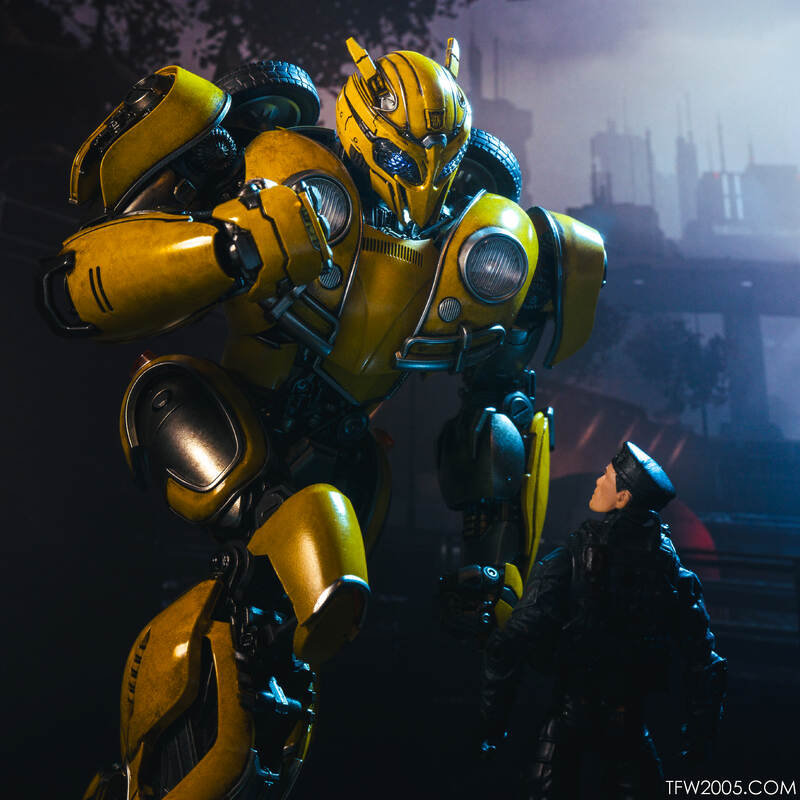 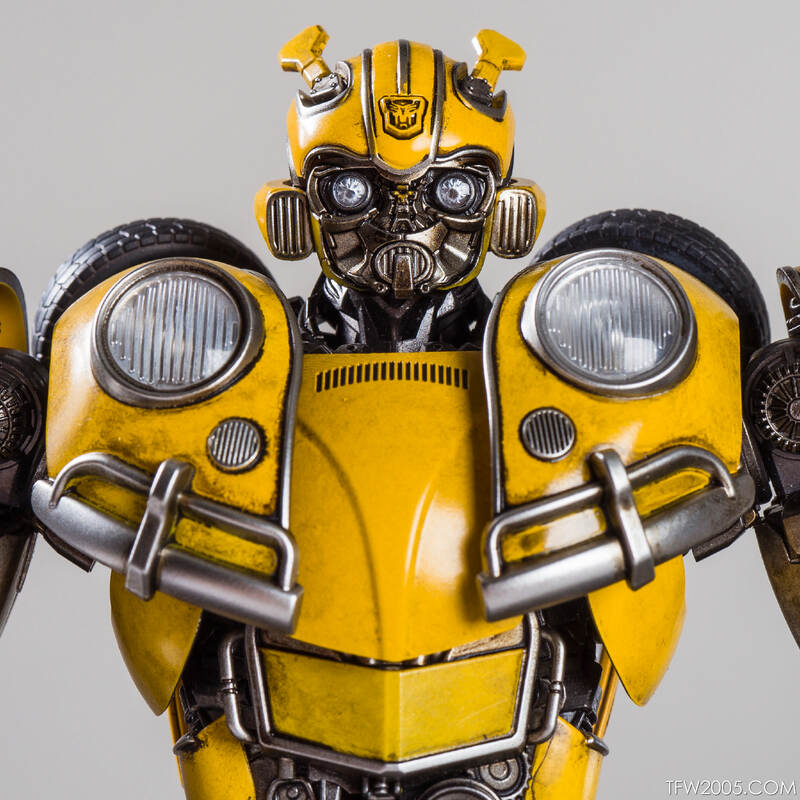 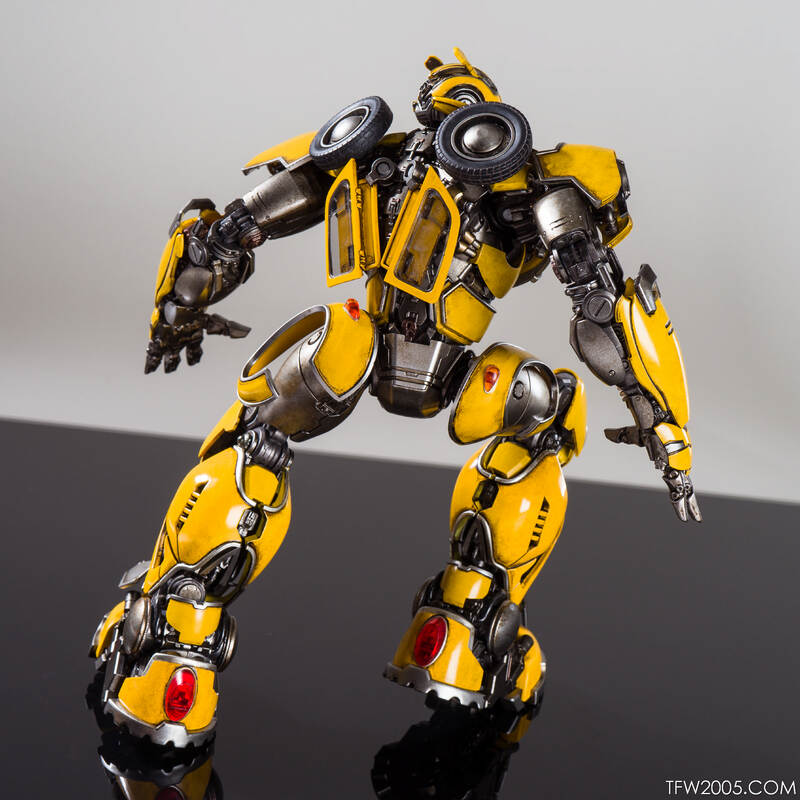 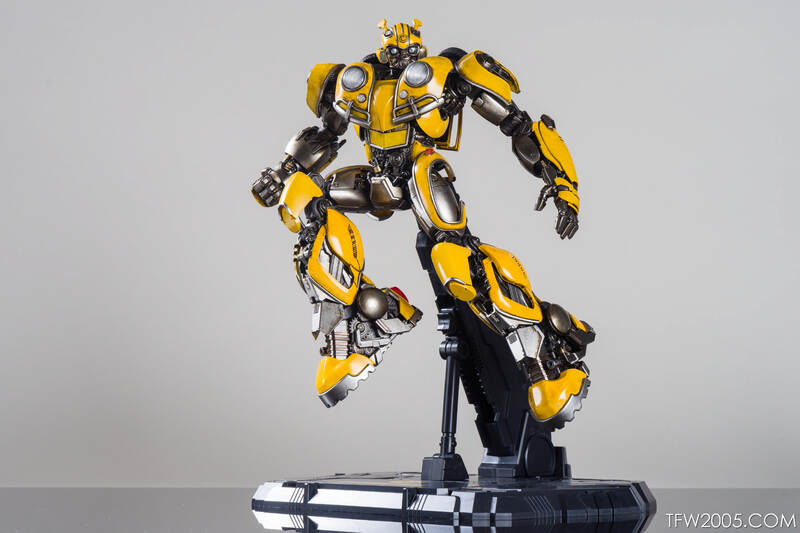 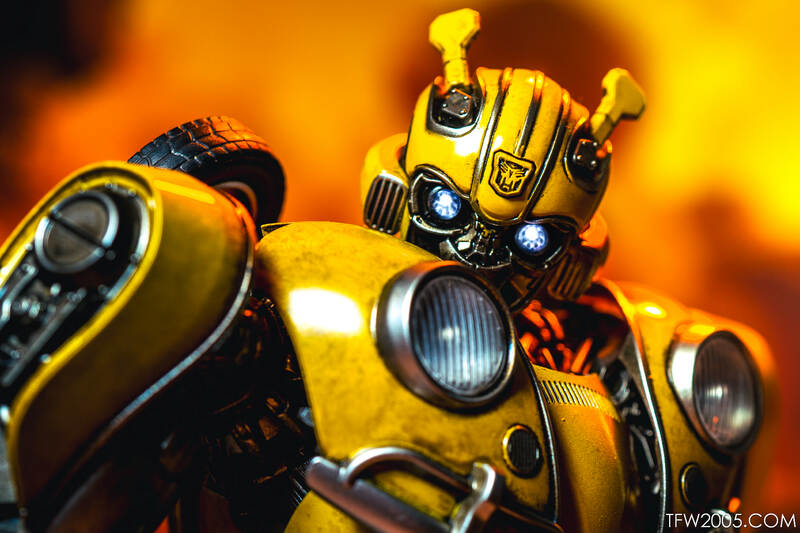 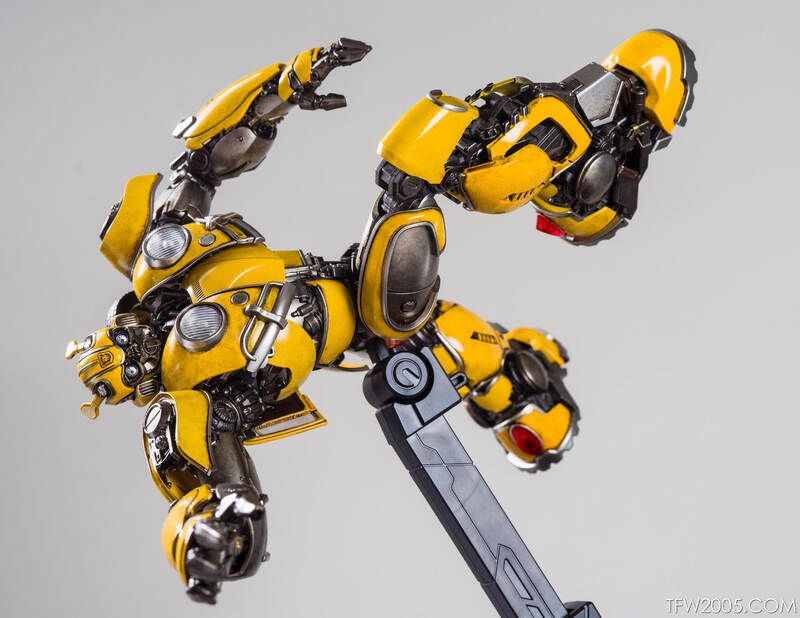 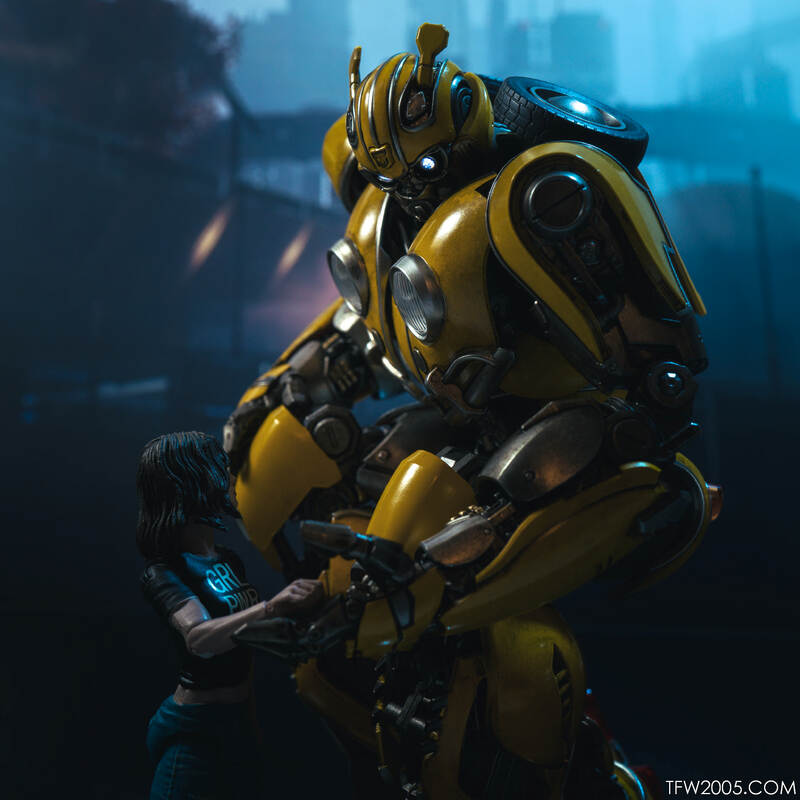 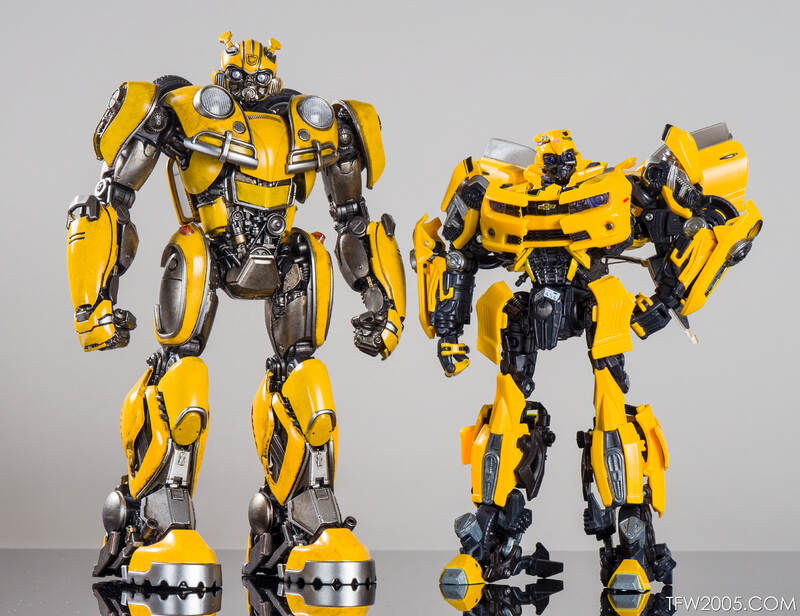 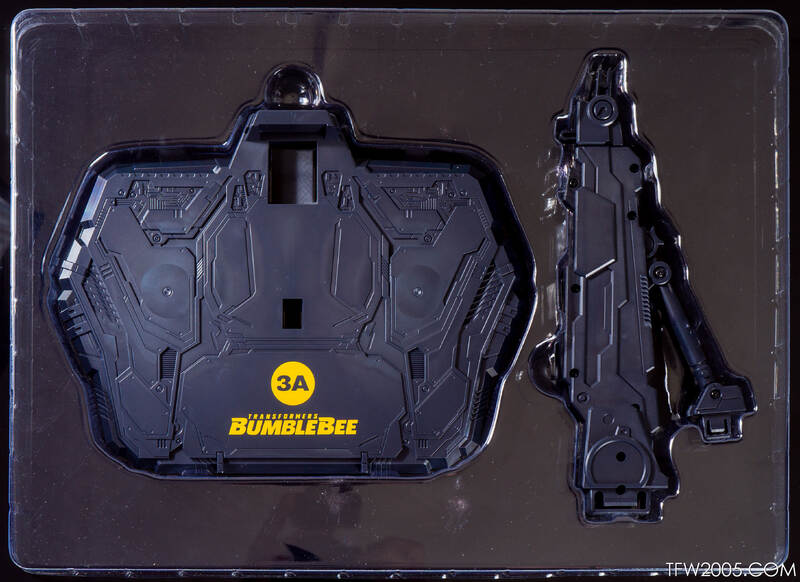 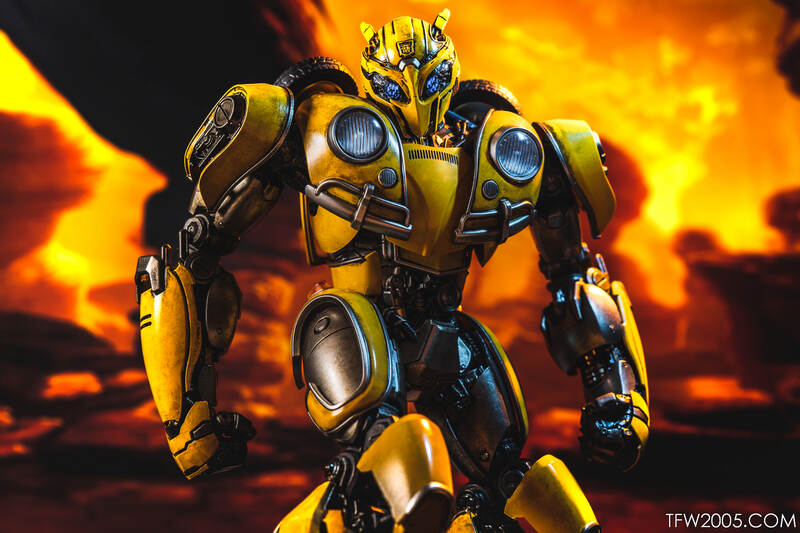 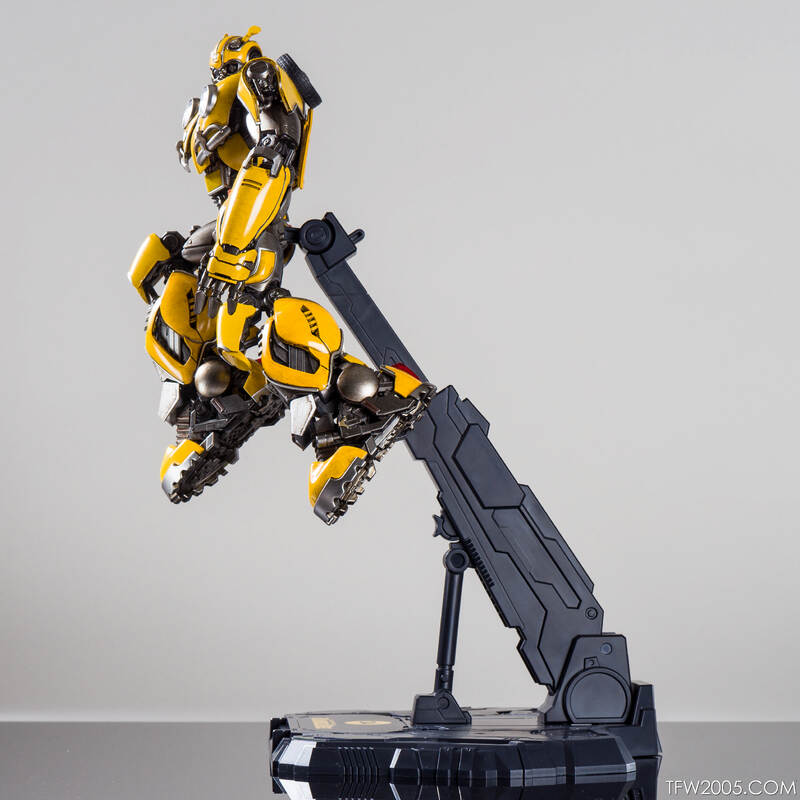 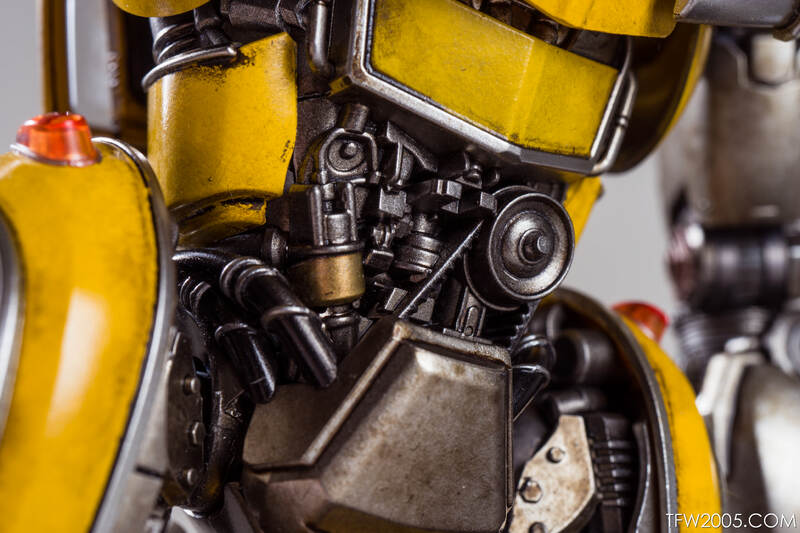 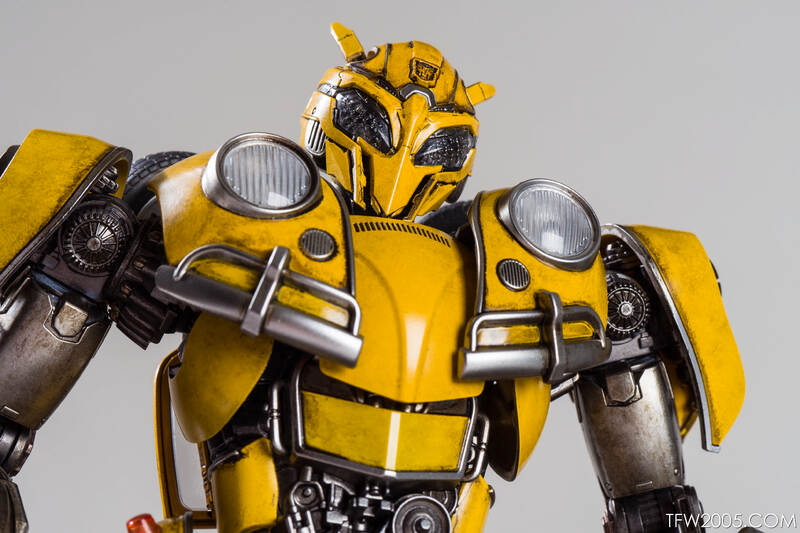 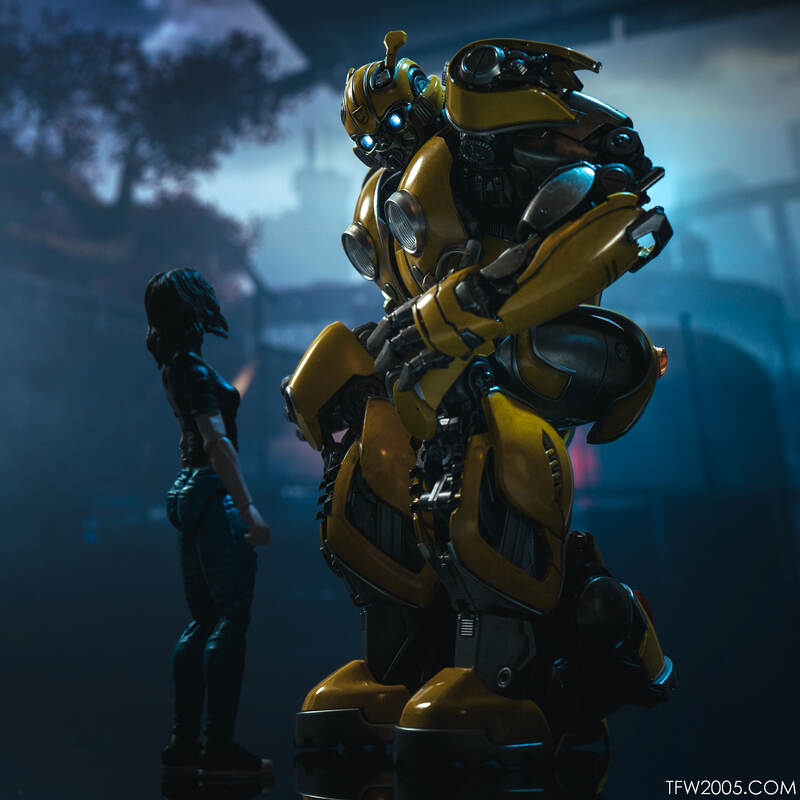 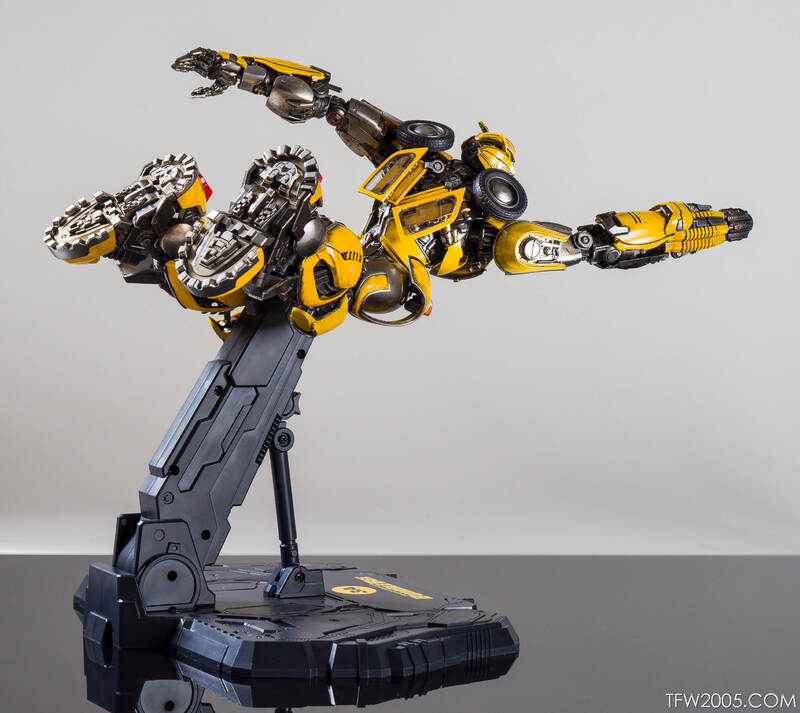 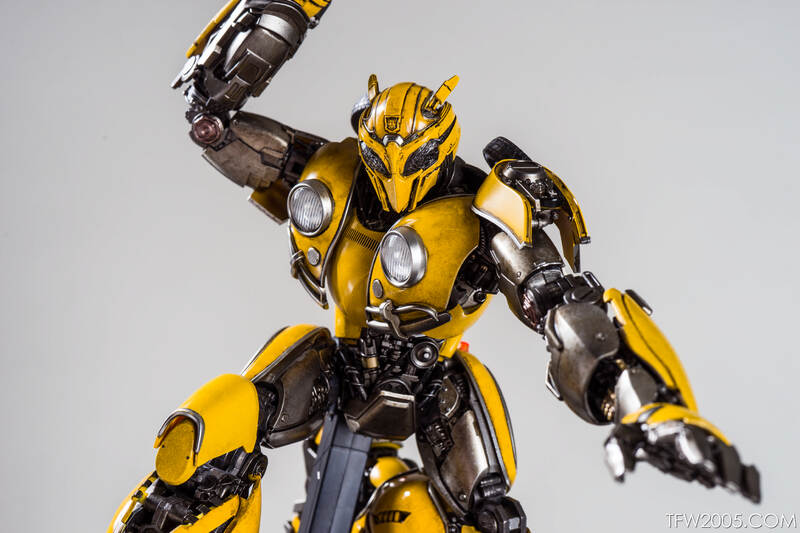 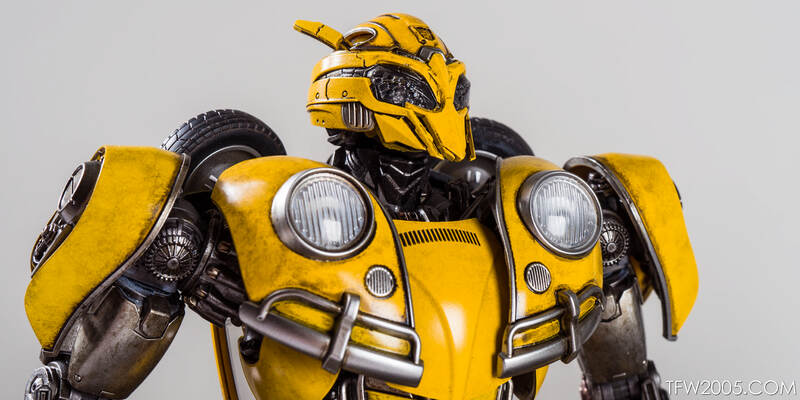 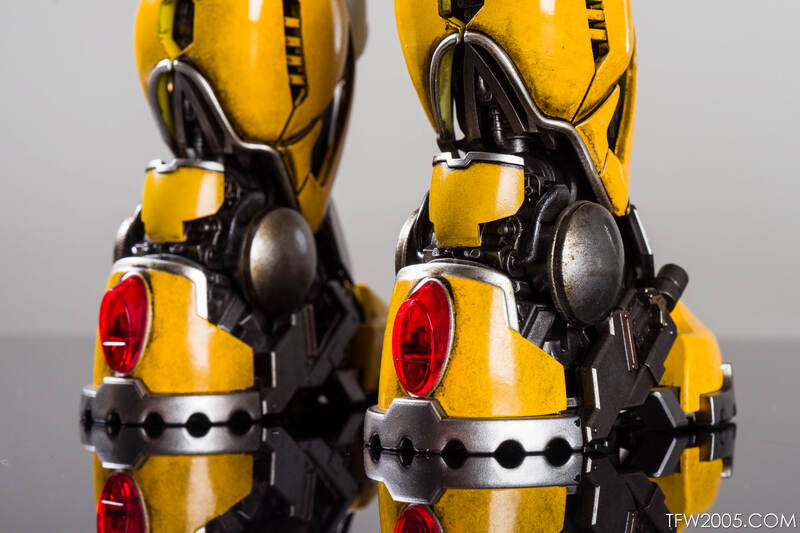 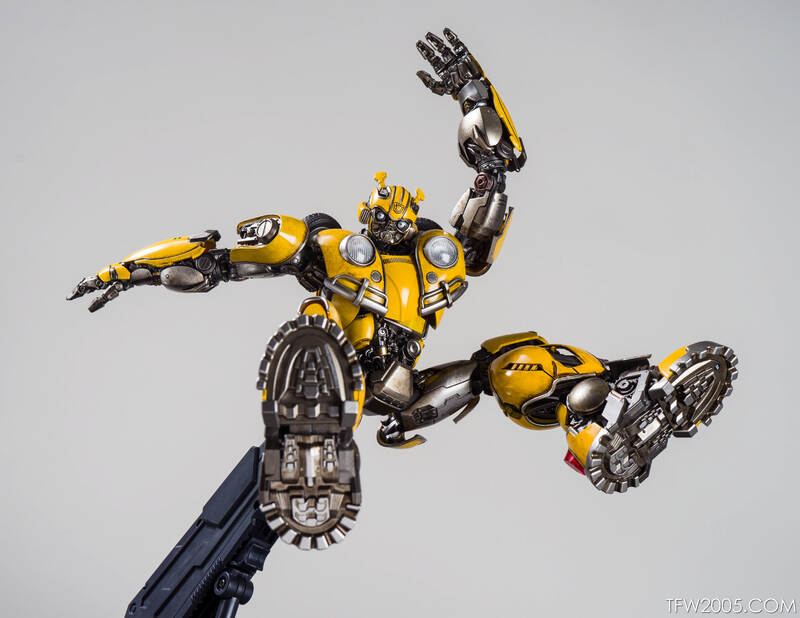 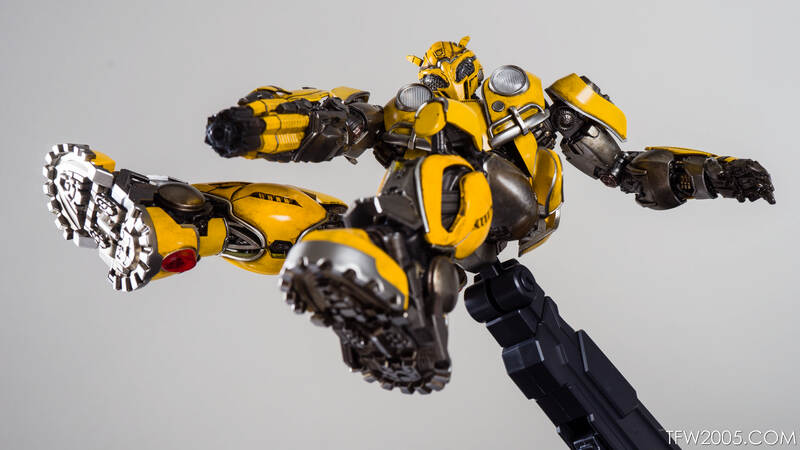 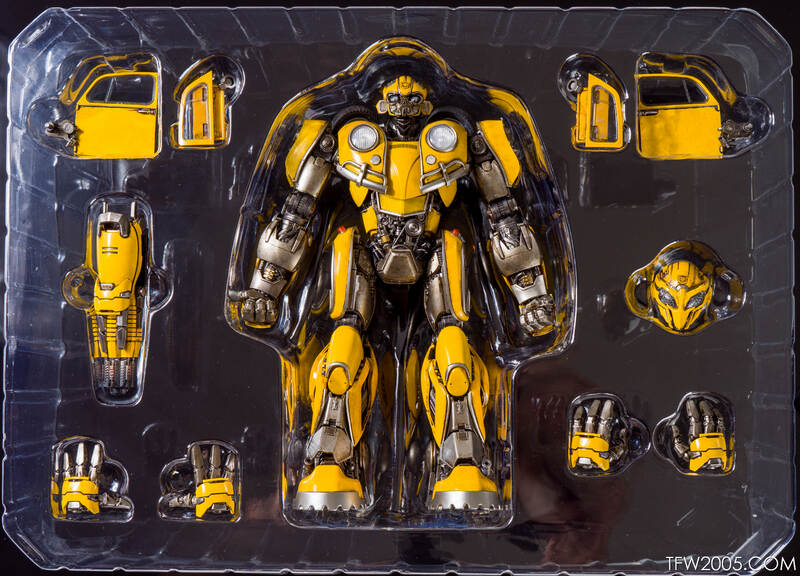 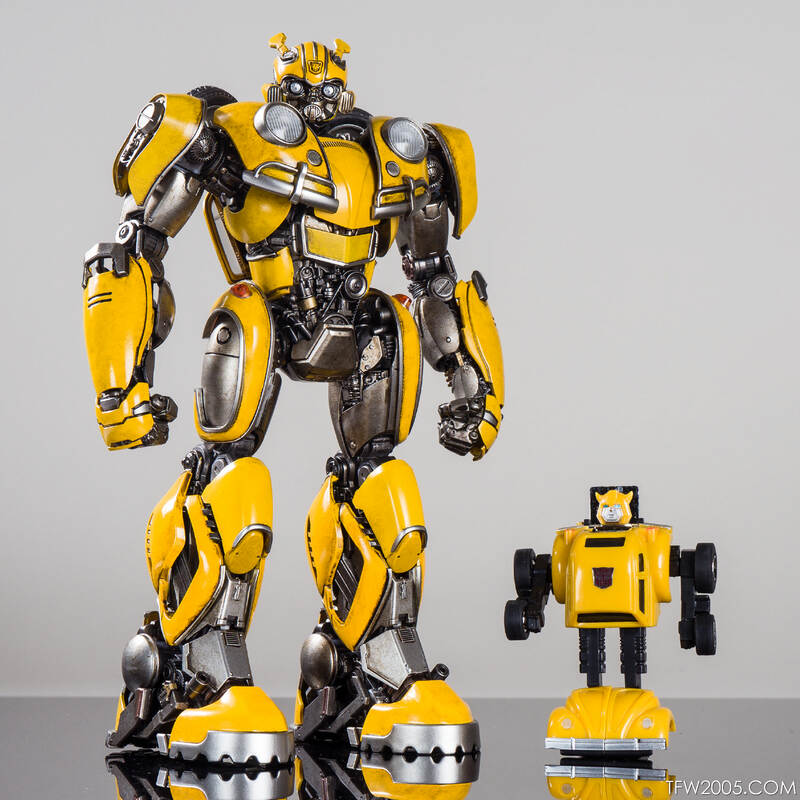 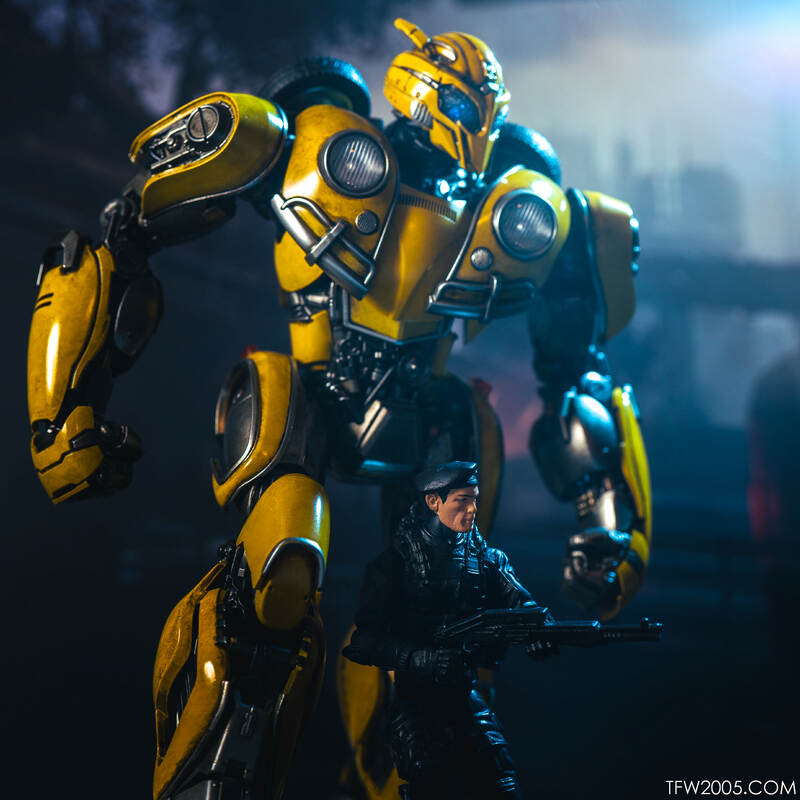 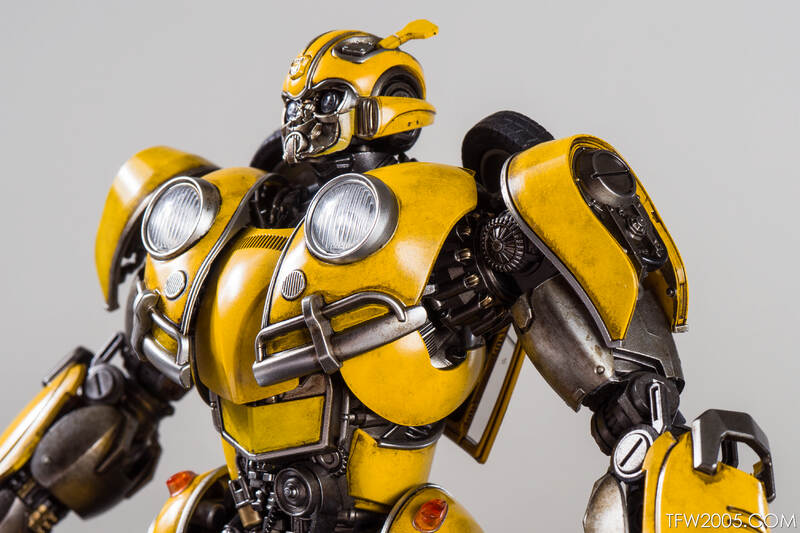 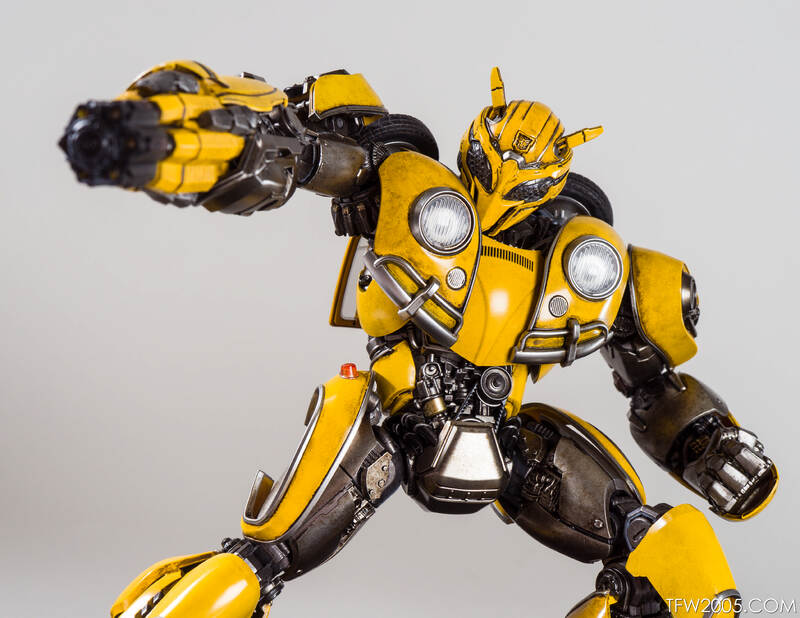 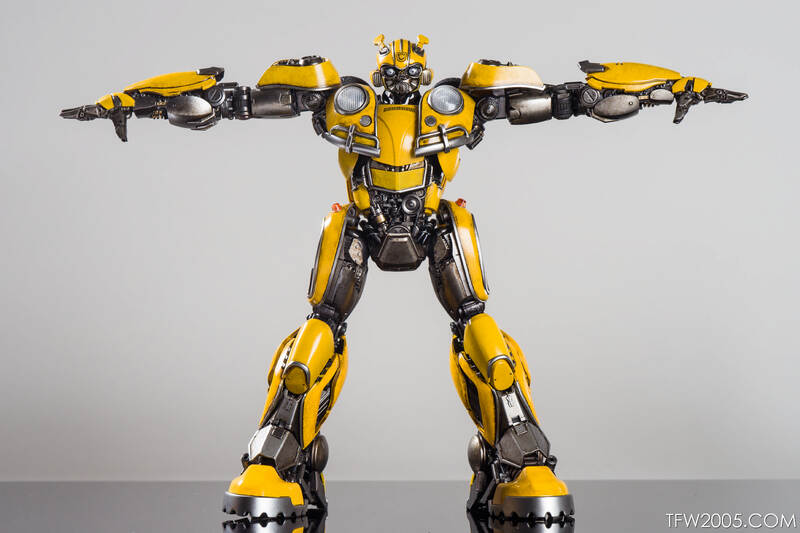 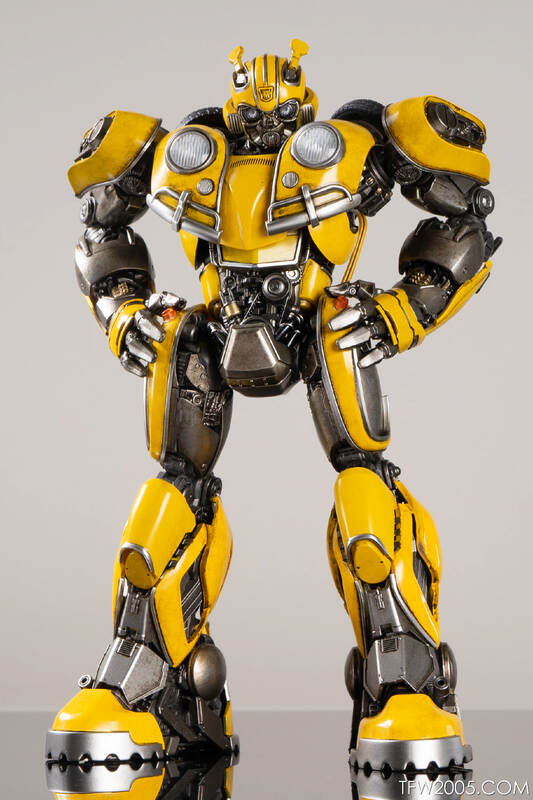 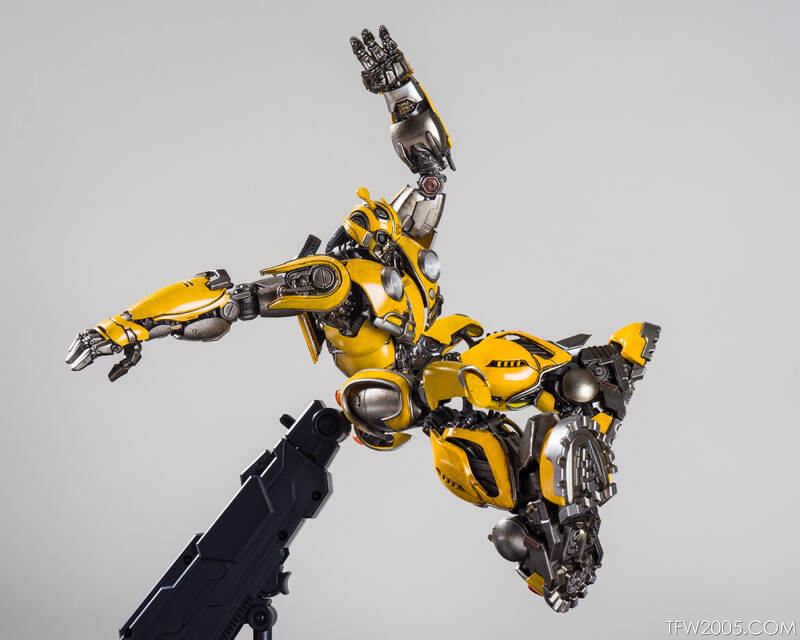 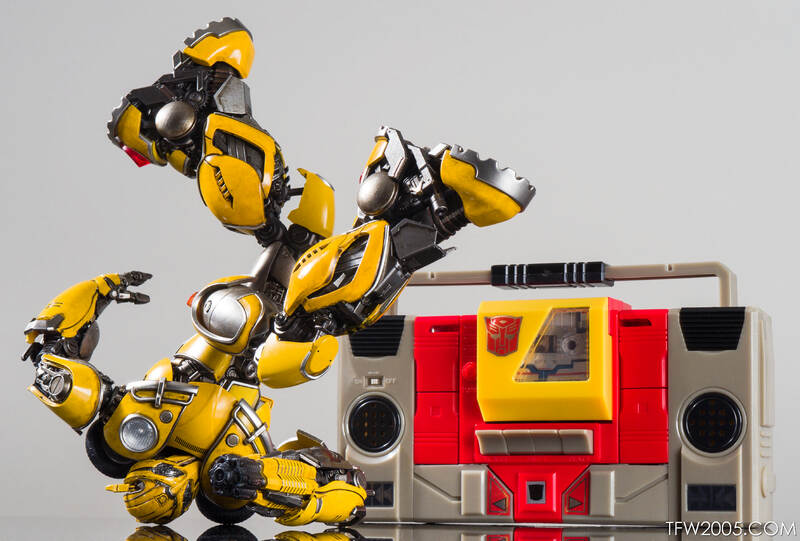 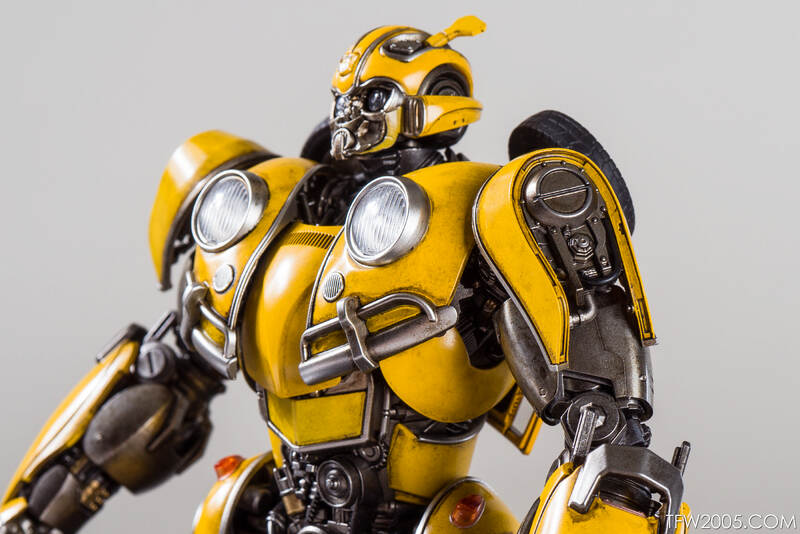 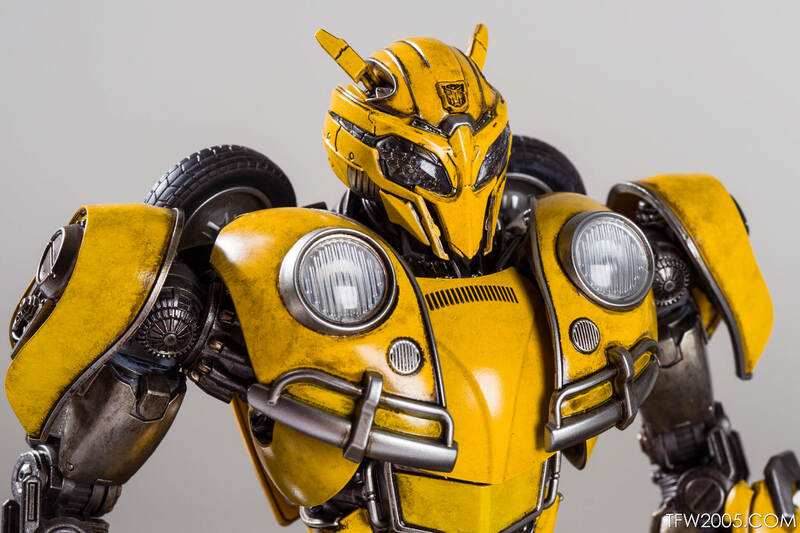 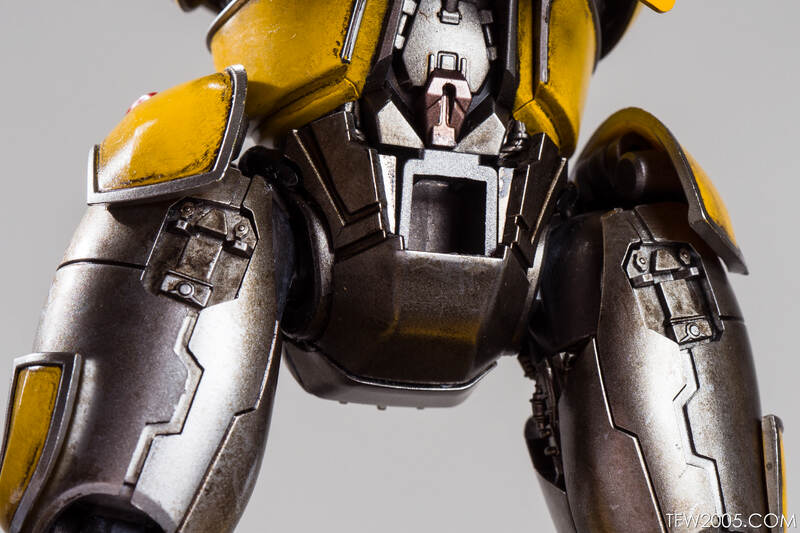 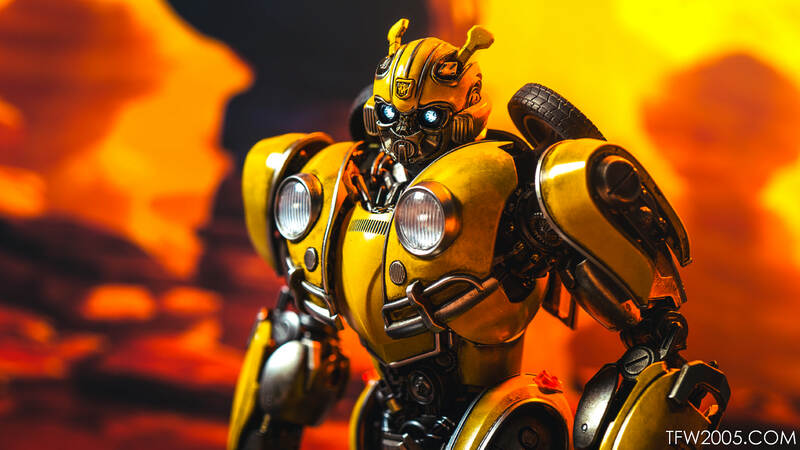 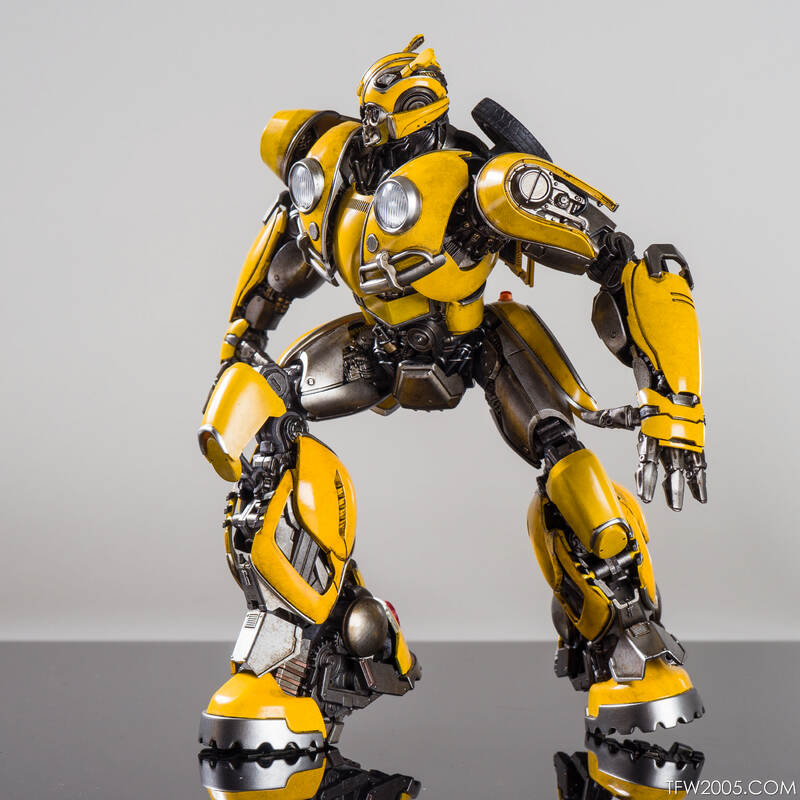 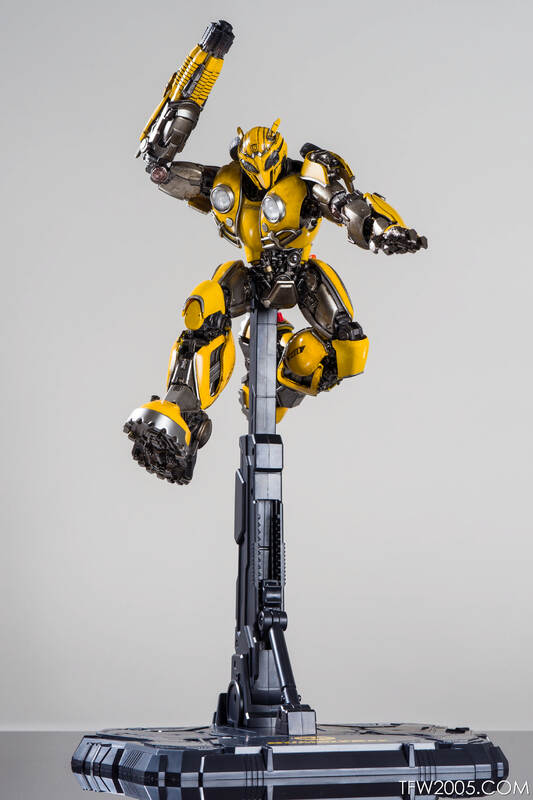 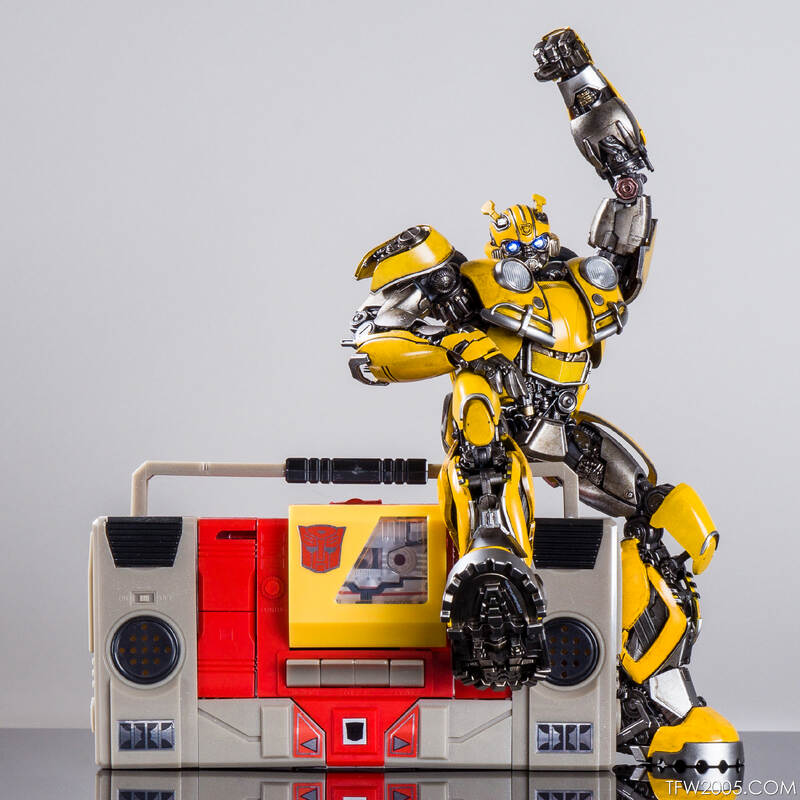 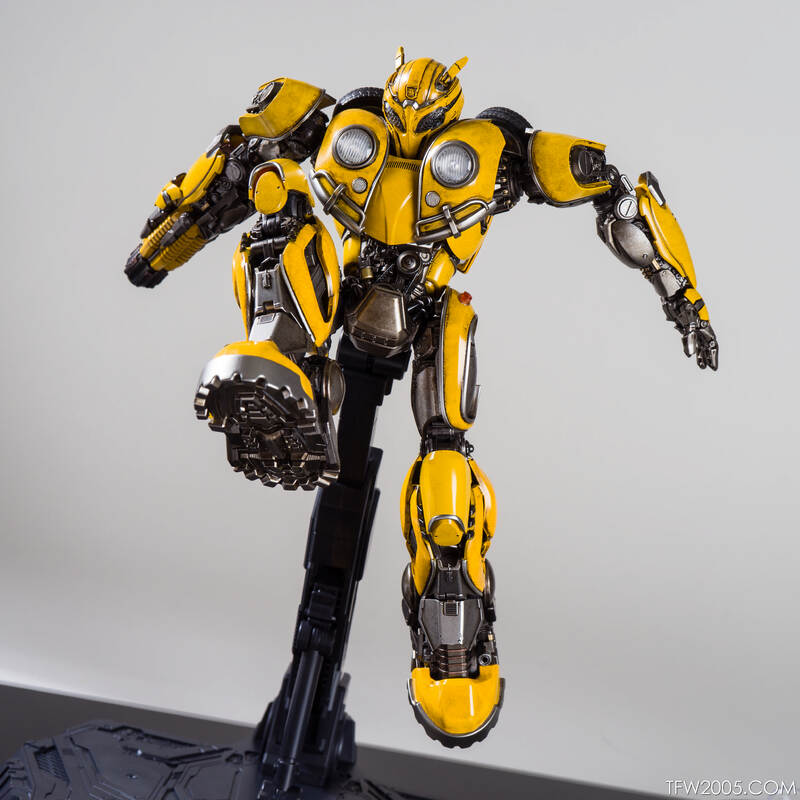 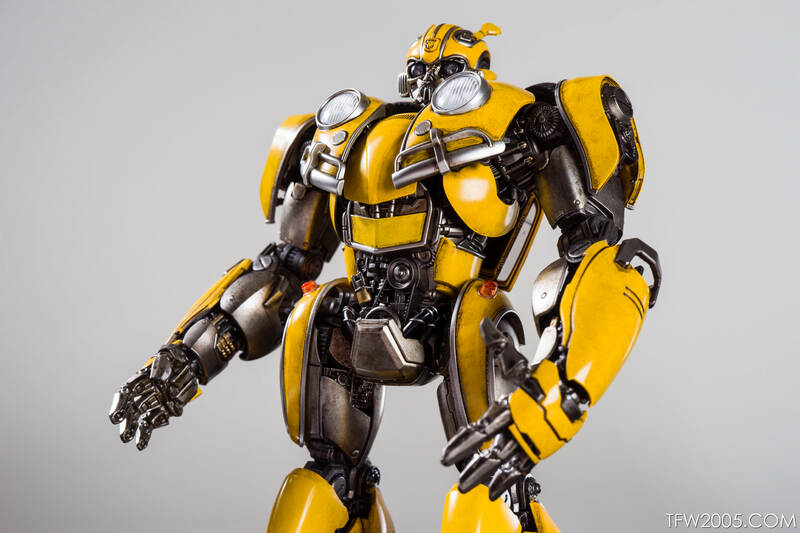 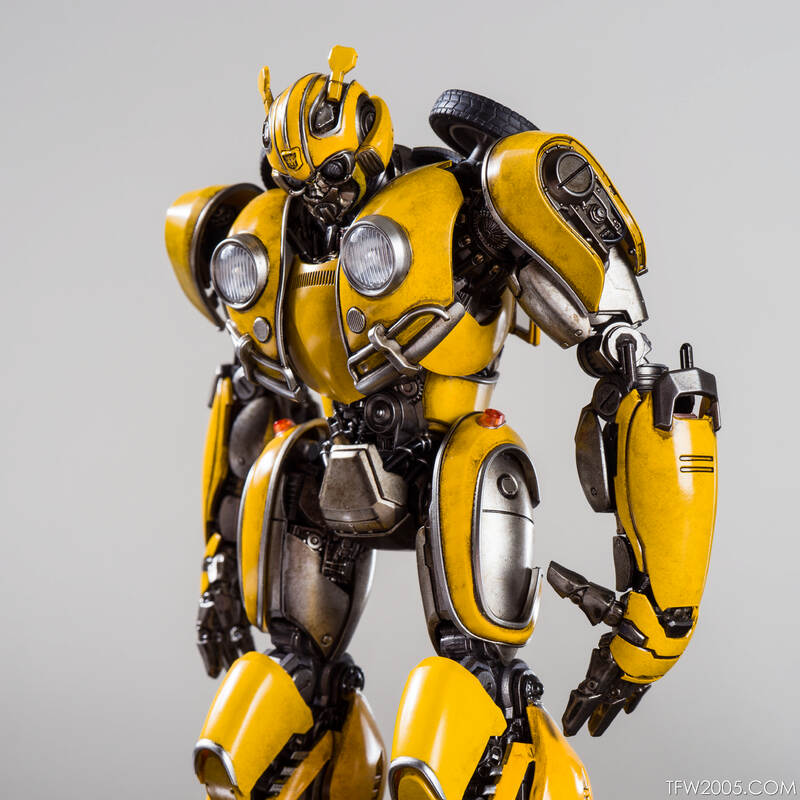 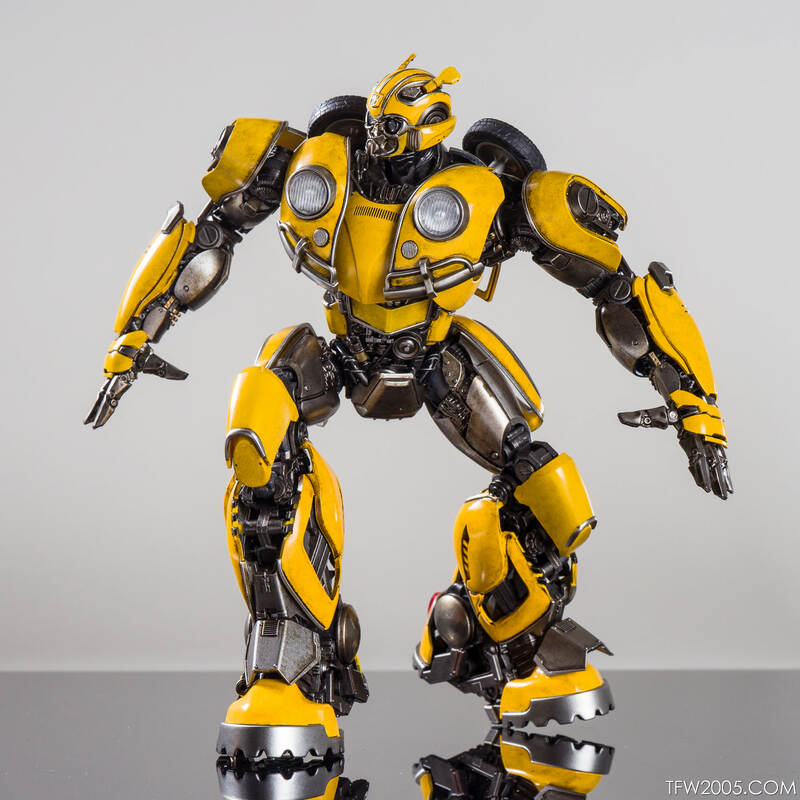 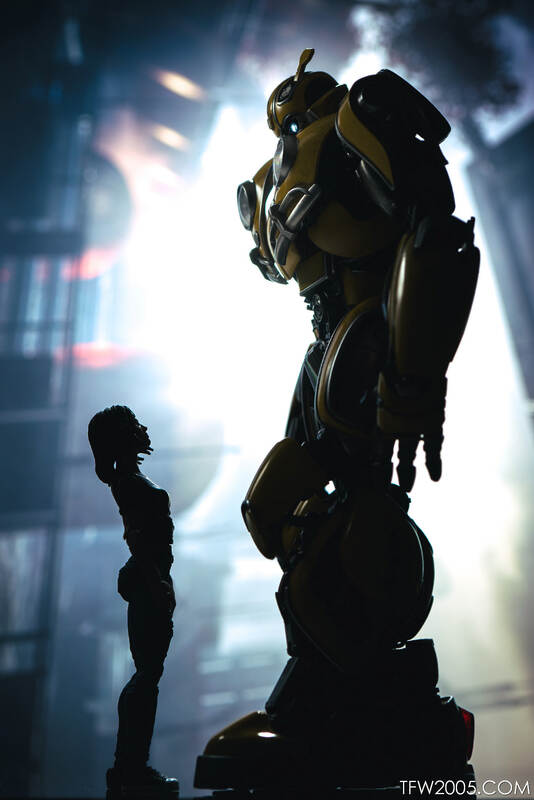 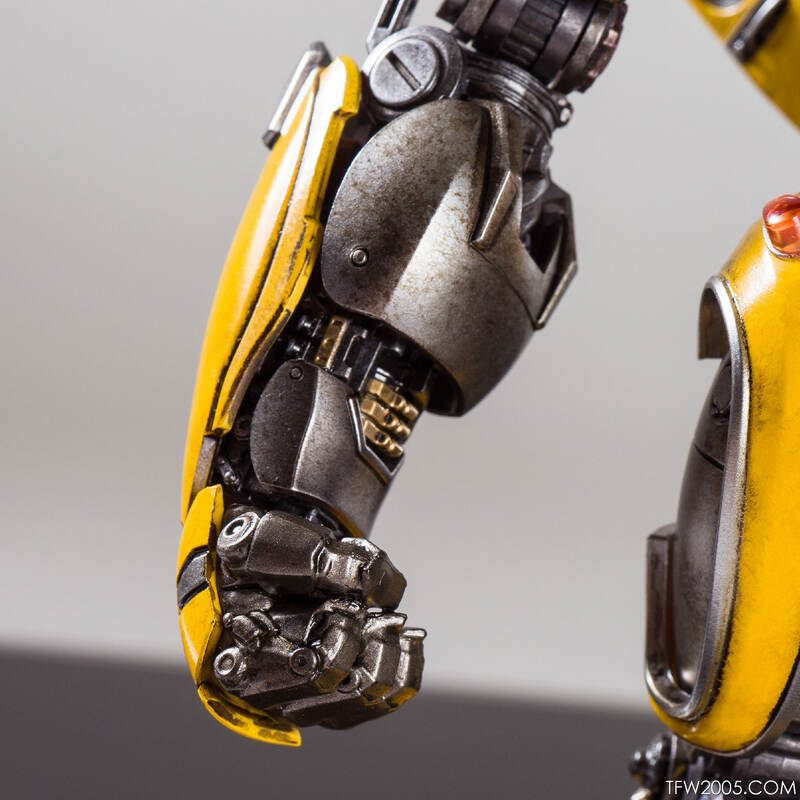 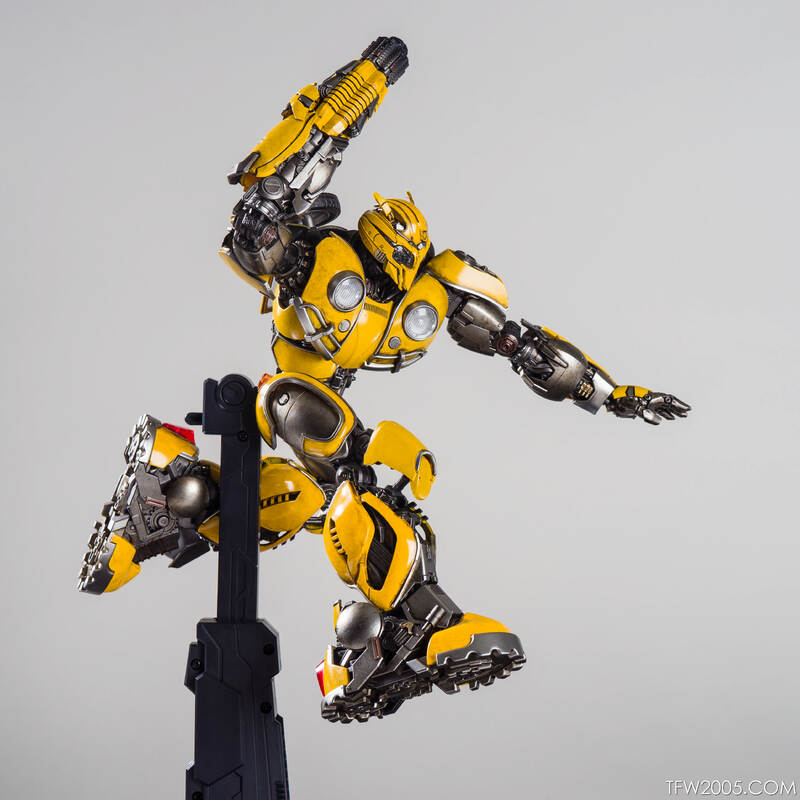 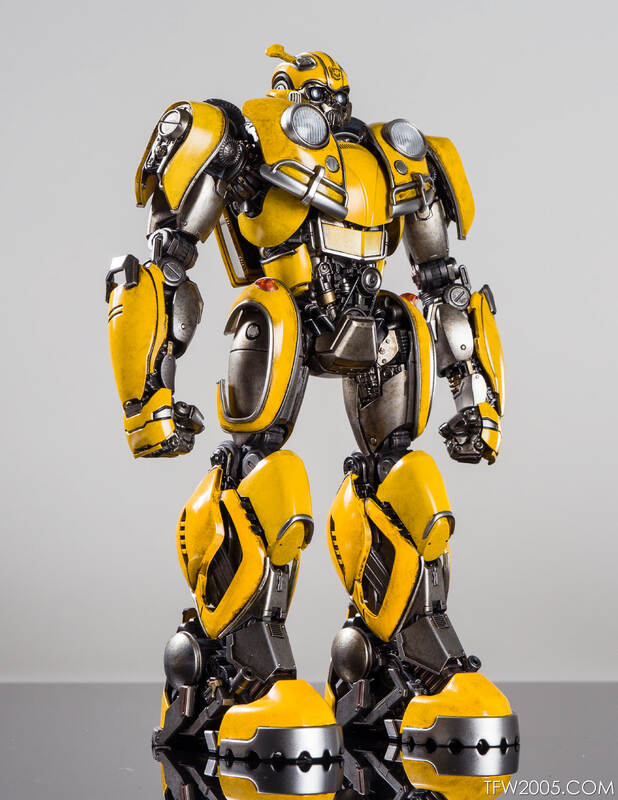 3A DLX Bumblebee. 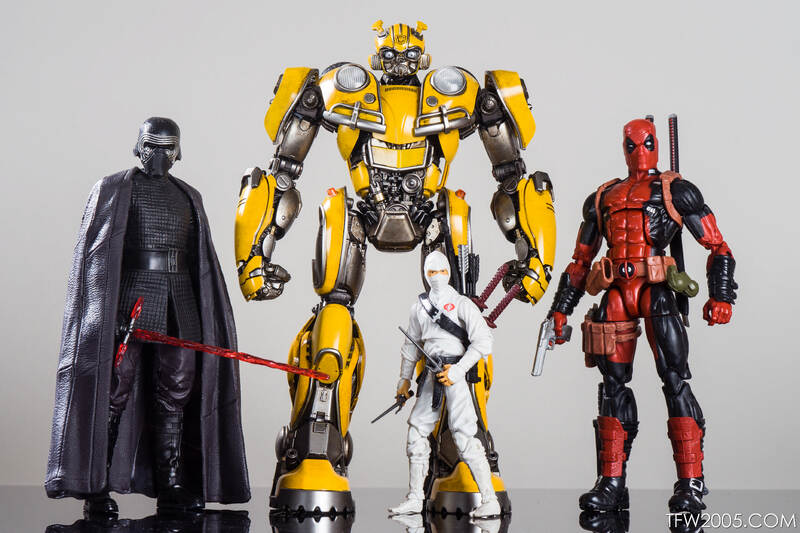 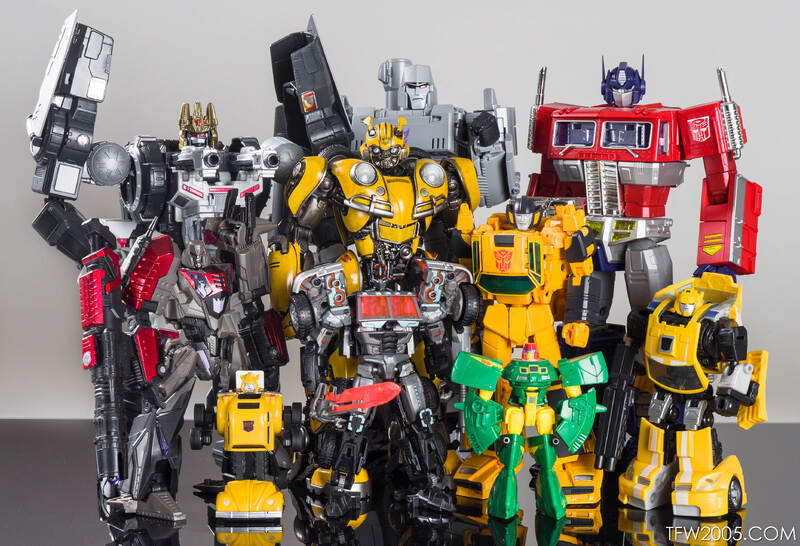 Smaller than their Premium line of figures, standing around 8 inches tall, 55 points of articulation, die-cast skeleton and select parts, LED eyes. 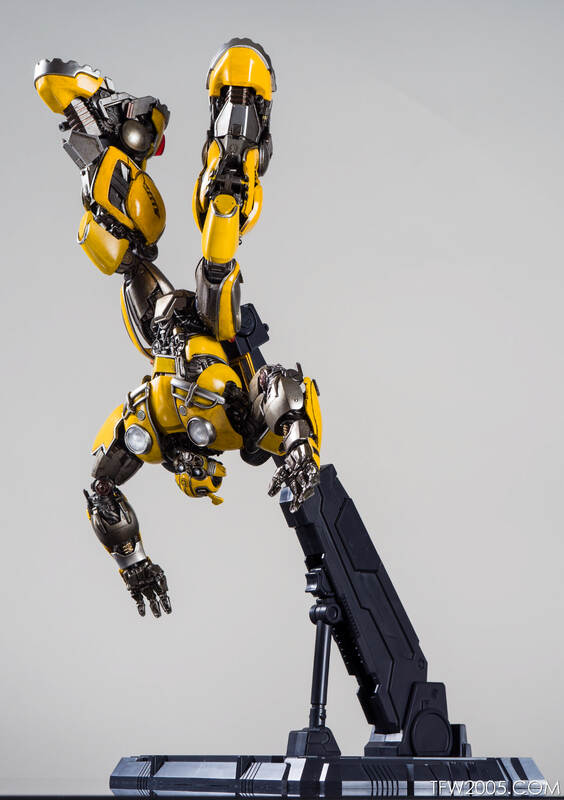 Interchangeable hands, head, door wings, arm and display stand come with the piece. 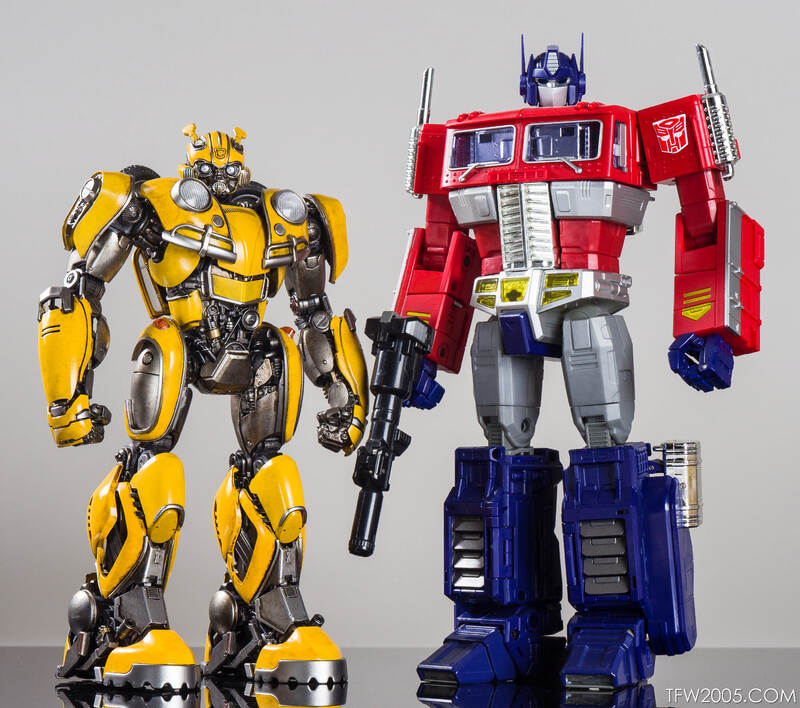 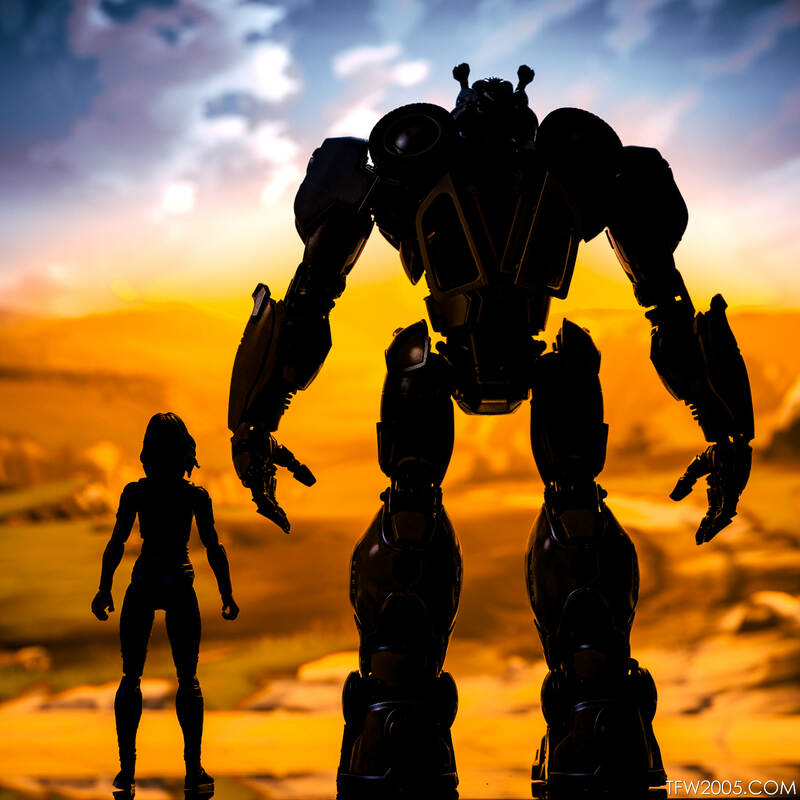 Non transformable.